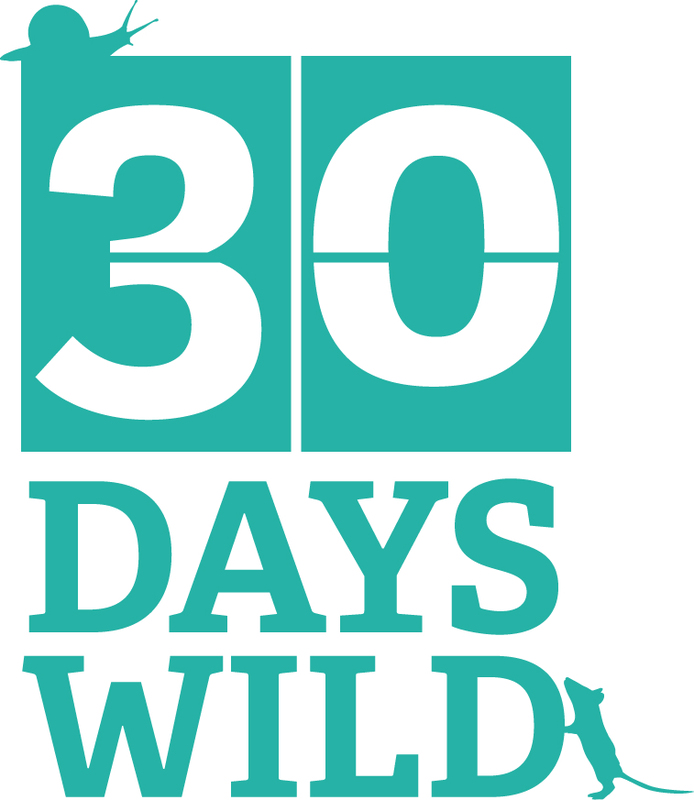 It’s Day 22 of 30 Days Wild and by the time I got home from work (via the allotment to pick yet more raspberries and blackcurrants! 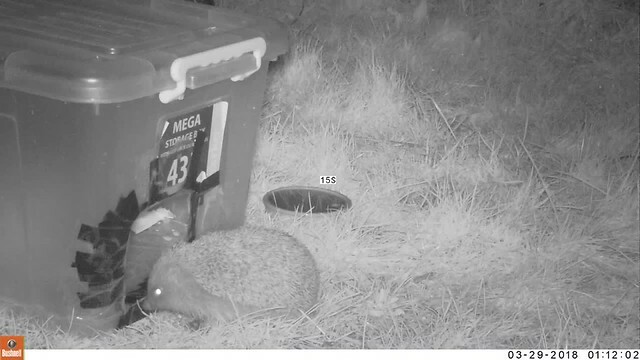 ), it was a bit late to get out and about to do something wild. So for today’s act of wildness, I decided to do a much needed update and review of this year’s moth records. 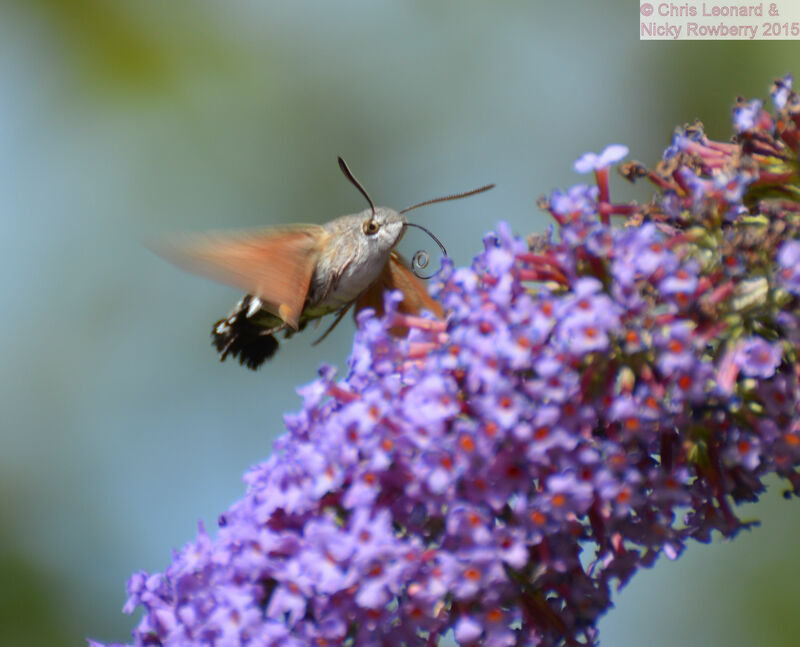 I’ve been so busy with other things, that I’ve not updated my spreadsheets for the Garden Moth Scheme and I’ve still got loads of photos taken but not identified. 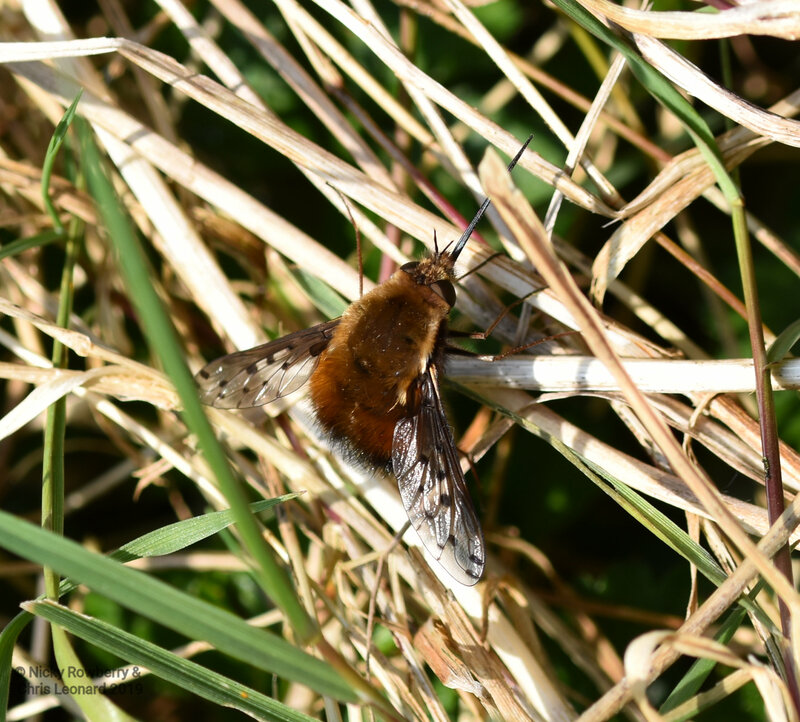 So sitting on the sofa with the laptop may not be the conventional idea of wild, but anyone who knows me, will know how much I love my moths – so I think I can get away with this as my nature fix for the day. 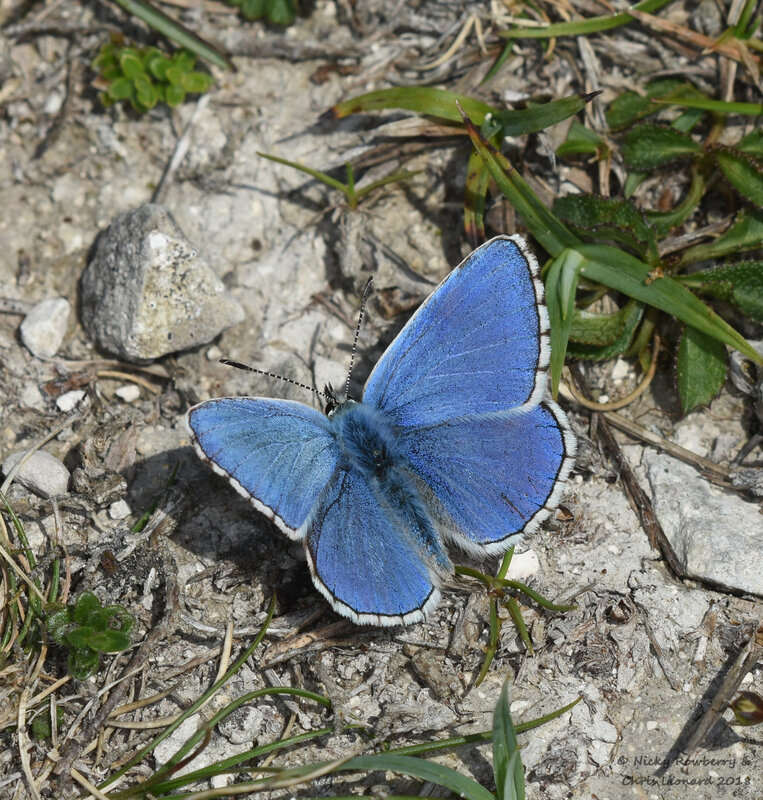 Most of the moths have been the larger macro ones, but about 20% have been the micros. 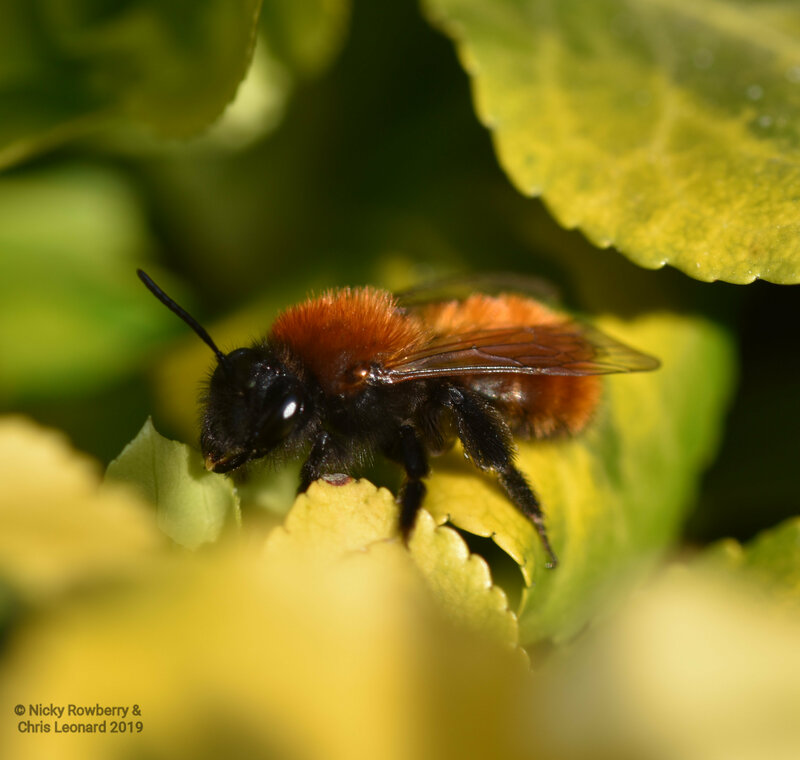 I’m not so good at identifying the micros – much harder usually because they are just so small. 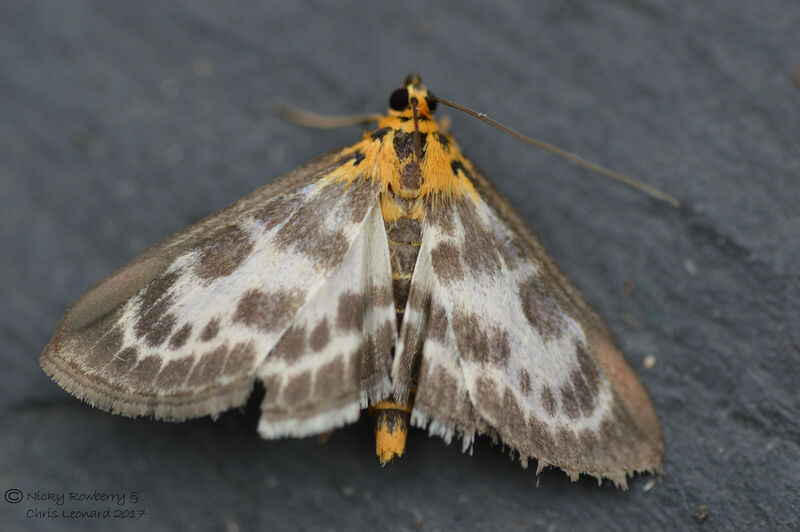 But some of them are easy and also really beautiful, like this pretty Small Magpie moth. 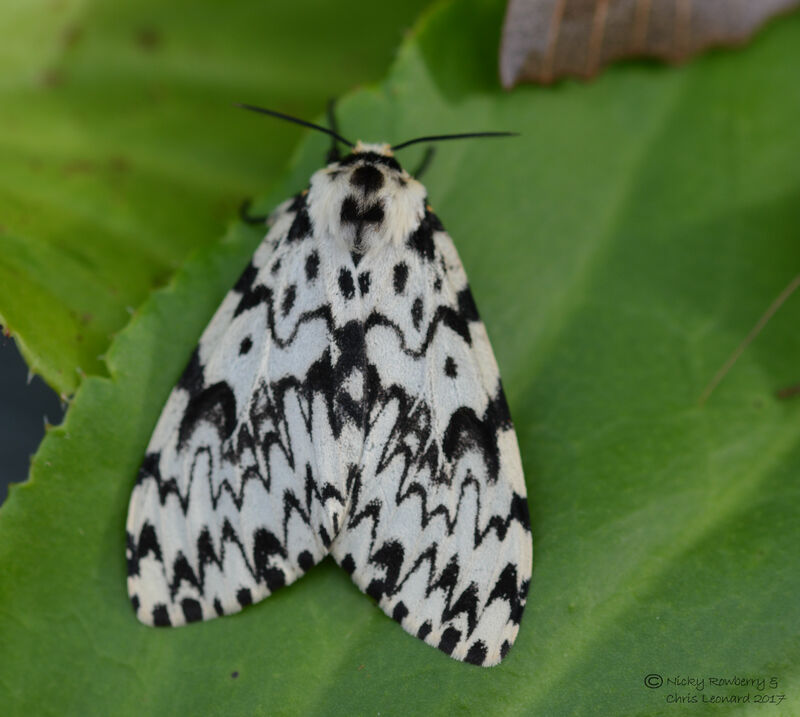 Moths come in all shapes and sizes – for some reason the most striking ones tend to be the less common in our trap. 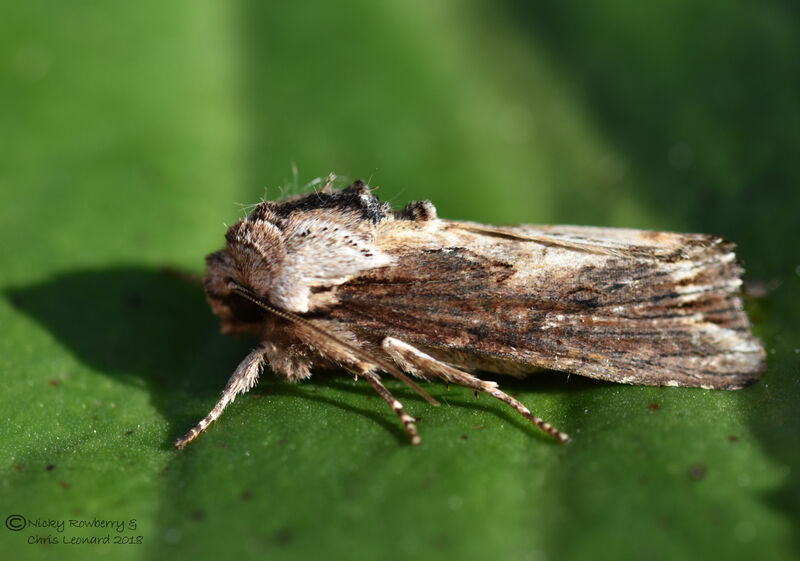 The current most numerous visitor is the Heart and Dart – a relatively plain moth apart from its dark markings that are supposed to look not surprisingly like a heart and dart. There is a 3rd blob, but I guess calling it the Heart and Dart and Blob would be a bit much! 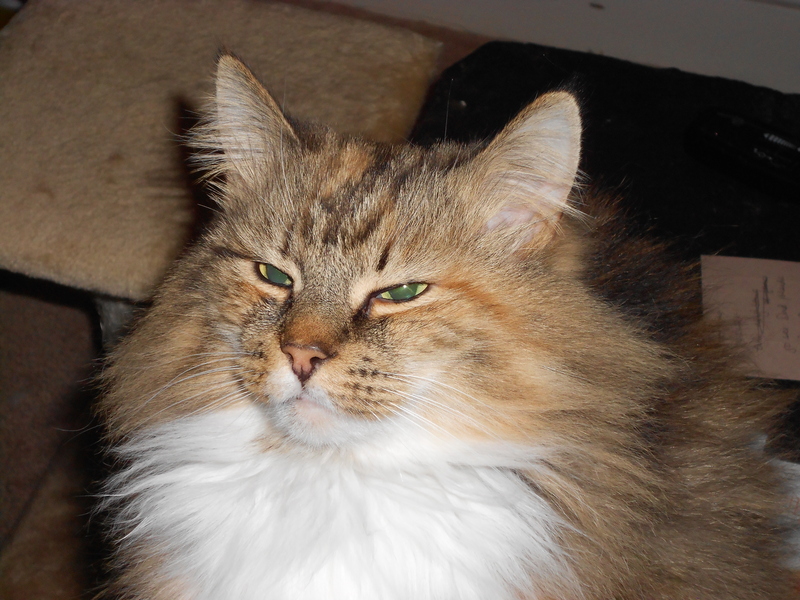 and this one is a Ruby Tiger. If these ones are really fresh specimens and the light catches them right, they really do look bright red. 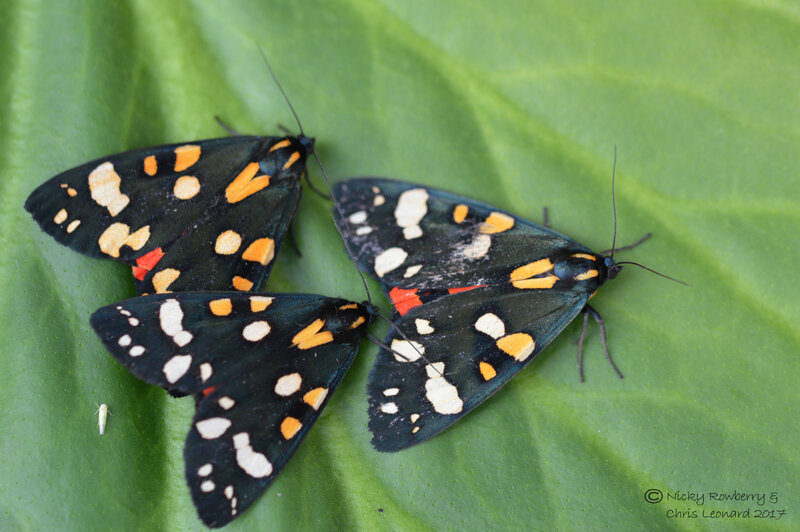 The rubies are not the only tigers I’ve had recently, these 3 Scarlet Tigers turned up in the trap a couple of days ago. 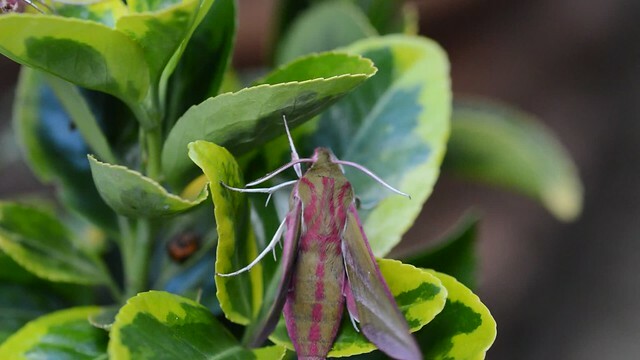 They are supposed to be day flying moths and we have occasionally seen a group of them flying round the garden in bright sunshine. 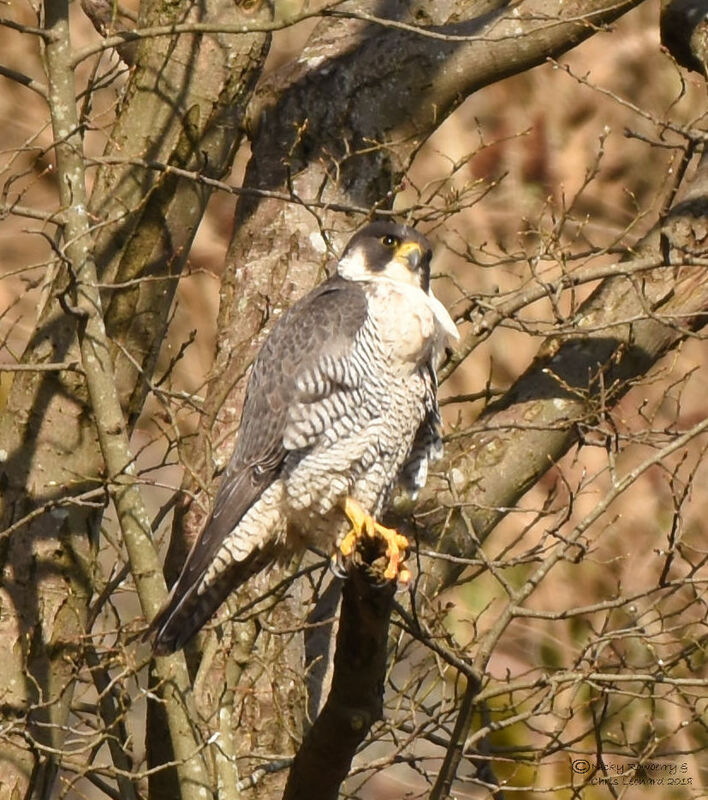 These 3 also flew off soon after I photographed them. 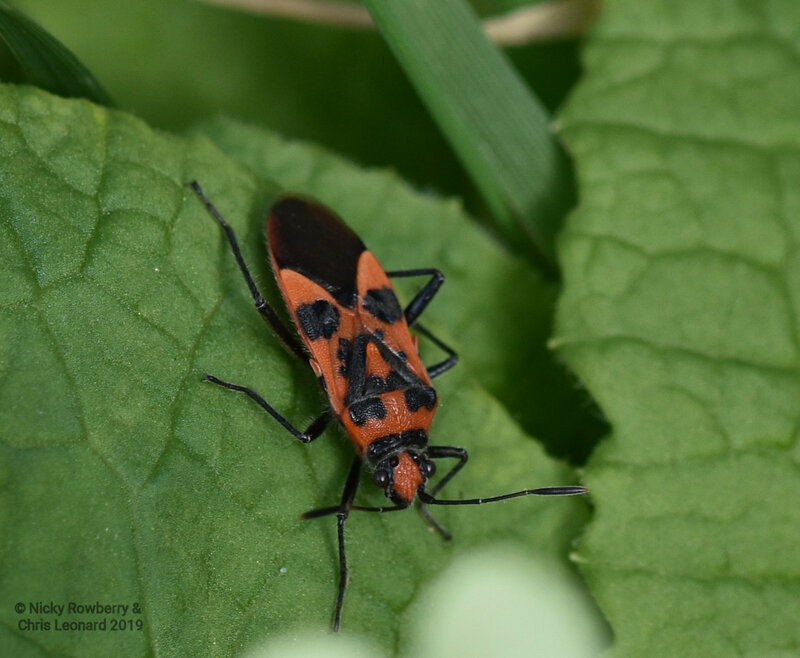 I think the “scarlet” bit comes from their underwings, which you can just about glimpse peaking out from under the black upper wings. 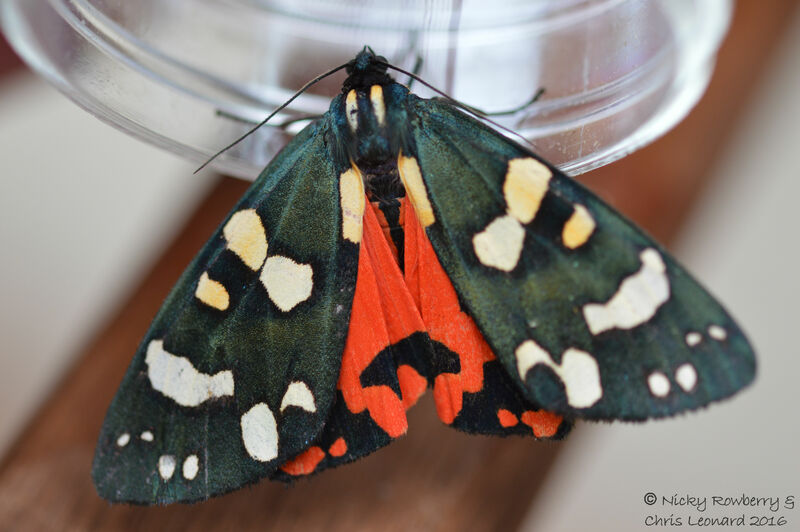 Another favourite that turned up in the last week was this exotic looking Swallowtail moth. 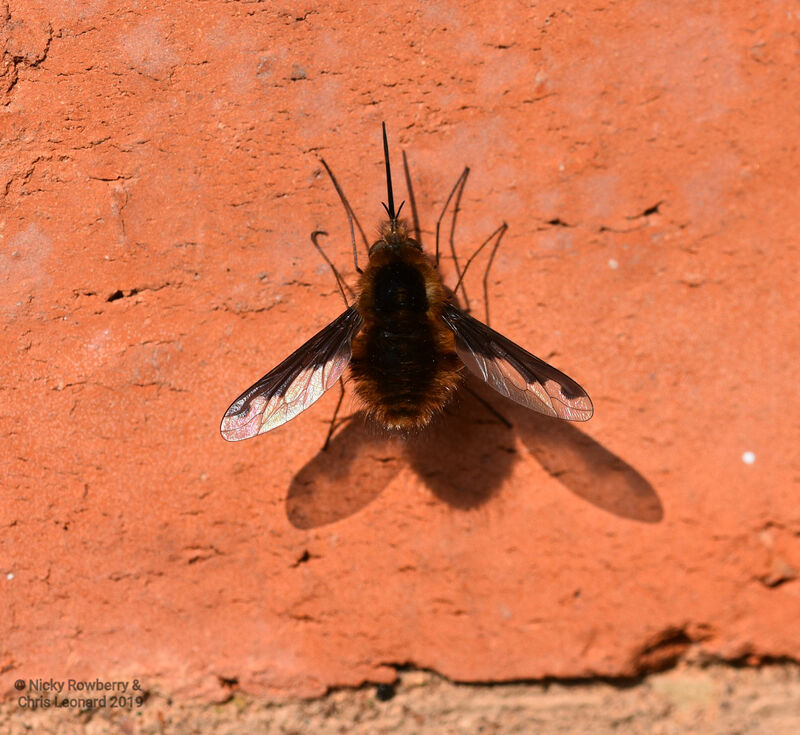 These are large moths with thin, delicate wings that seem to flap slowly, although they put on a fair turn of speed when they are trying to escape me and my camera! 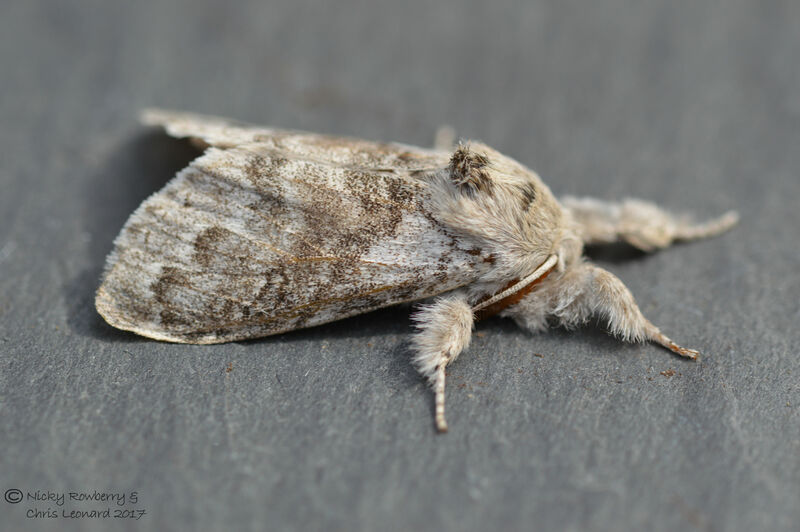 With a completely different body form is this Pale Tussock moth, with its furry legs sticking out in front in characteristic pose. 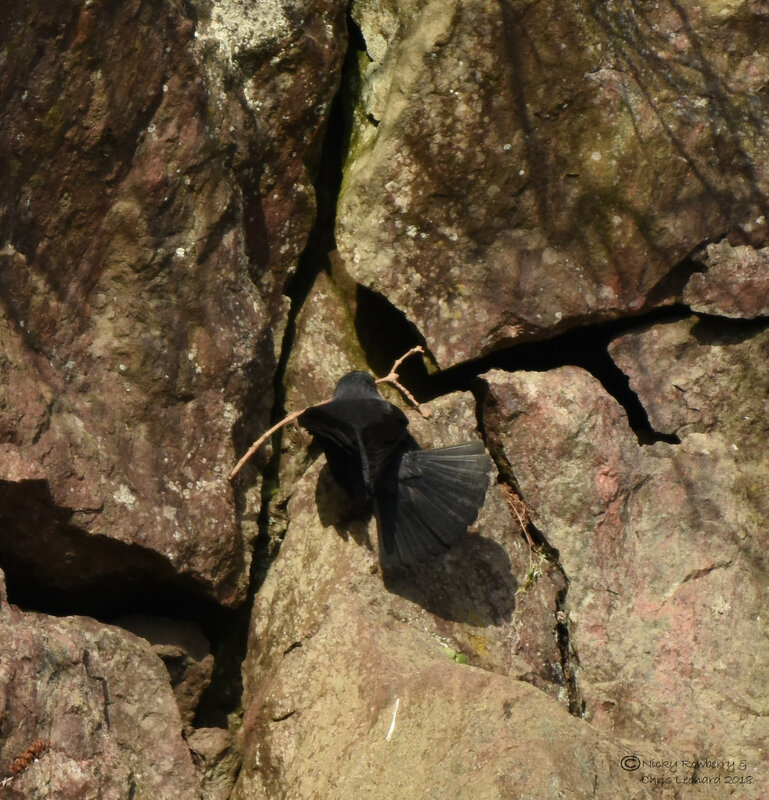 This species is generally much less flighty and happy to pose for photographs. 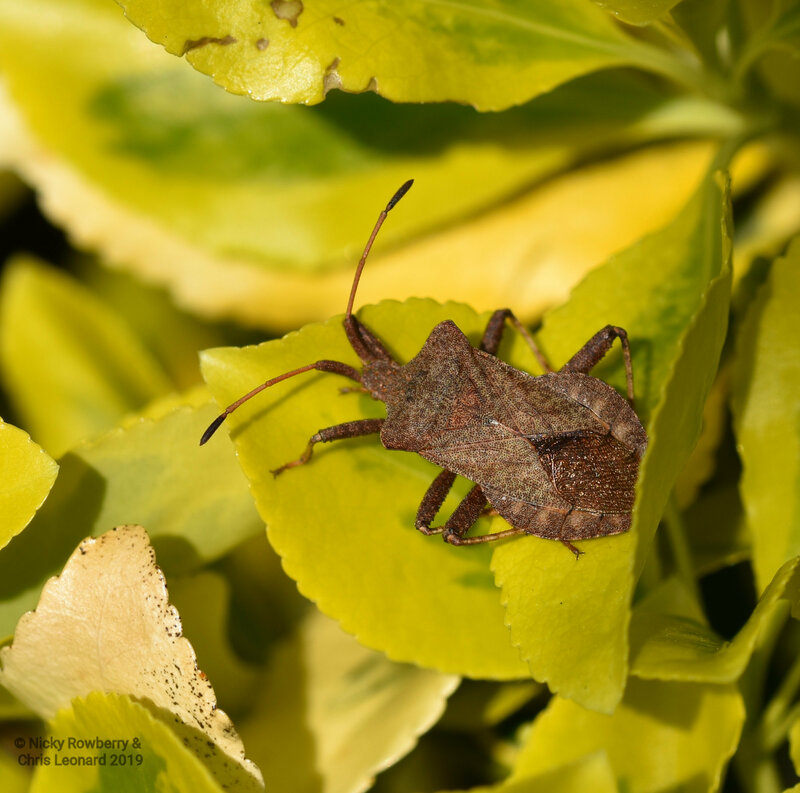 I’ve had a couple of “new for the garden” species (or NFG as us mothy nerds call them) this year. I was thrilled to get this Ghost Moth a few weeks ago. 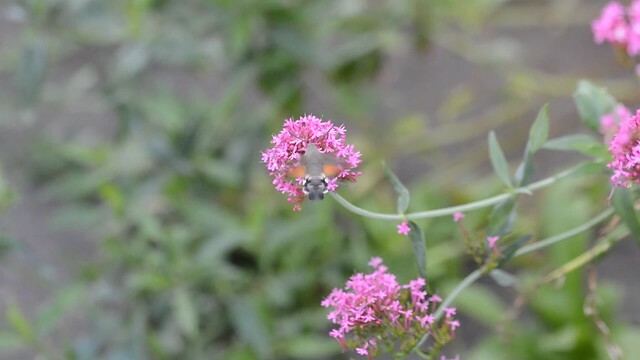 I was really excited to see a Hummingbird Hawkmoth on the red valerian flowers a couple of weeks ago – needless to say it wouldn’t stop for a photo shoot. 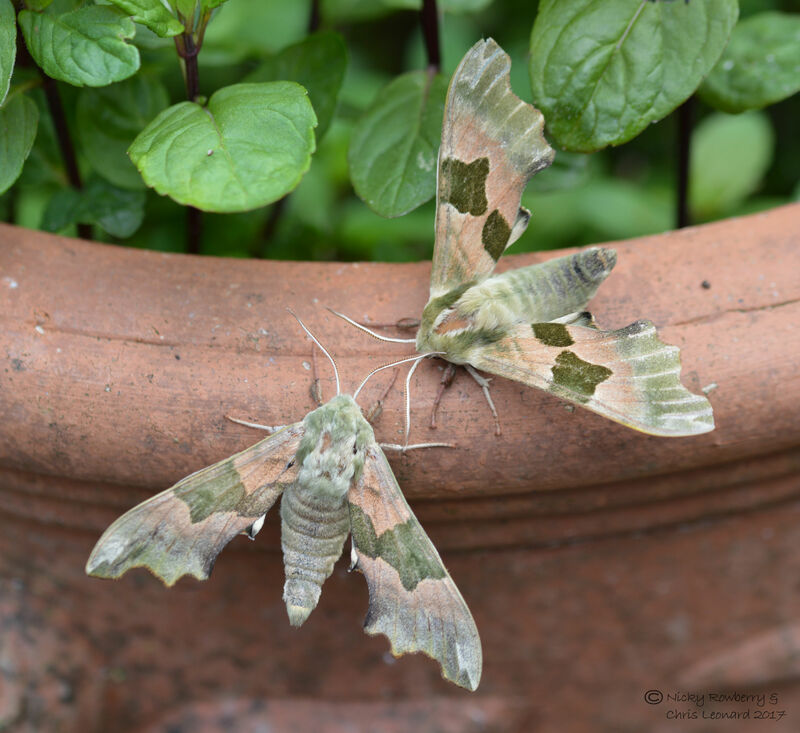 These 2 Lime Hawkmoths were much more obliging and were also NFG. 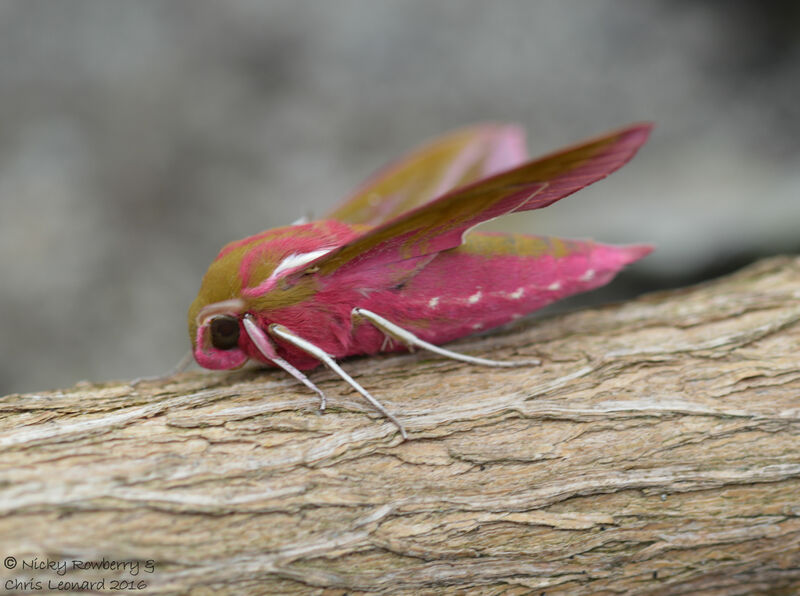 I couldn’t do a mothy post without mentioning everyone’s favourite the bright pink Elephant Hawkmoth. 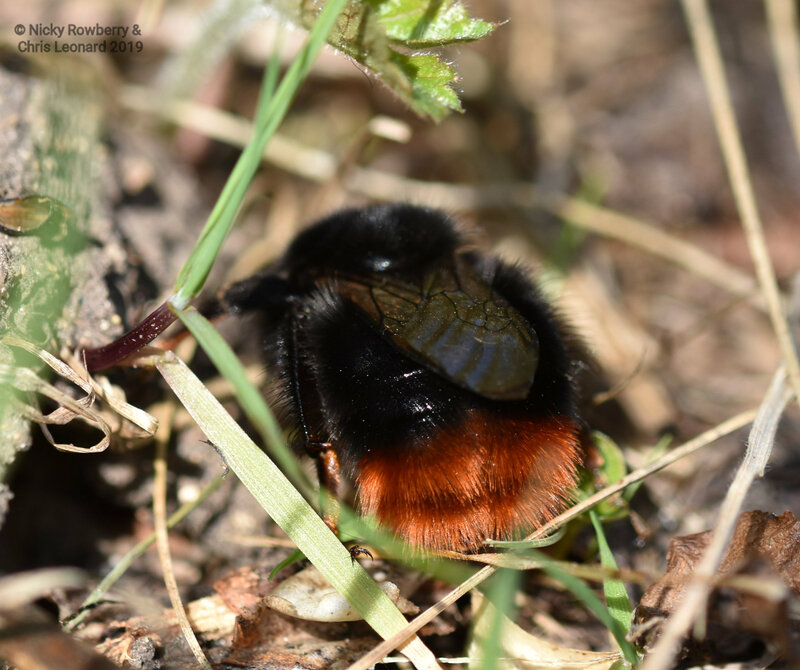 Normally I’d post a photo, but I recently had a go at videoing one as it warmed up its wings – so here’s a short film instead. 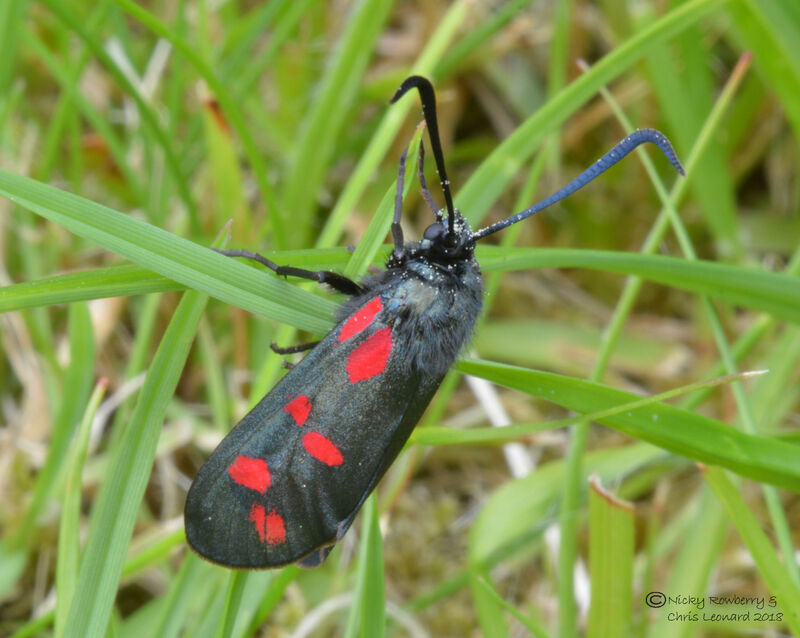 Last year I got 211 species of moth, it would be lovely to top that this year, but I fear it might be a struggle. 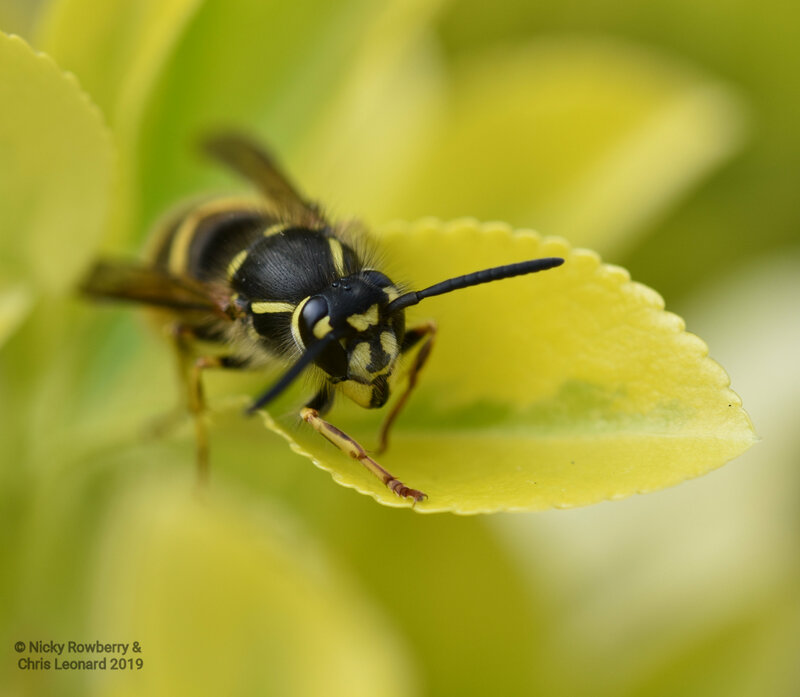 I’ve never made a definitive list of all the species I’ve ever recorded in the garden – some turn up one year only to never be seen again. 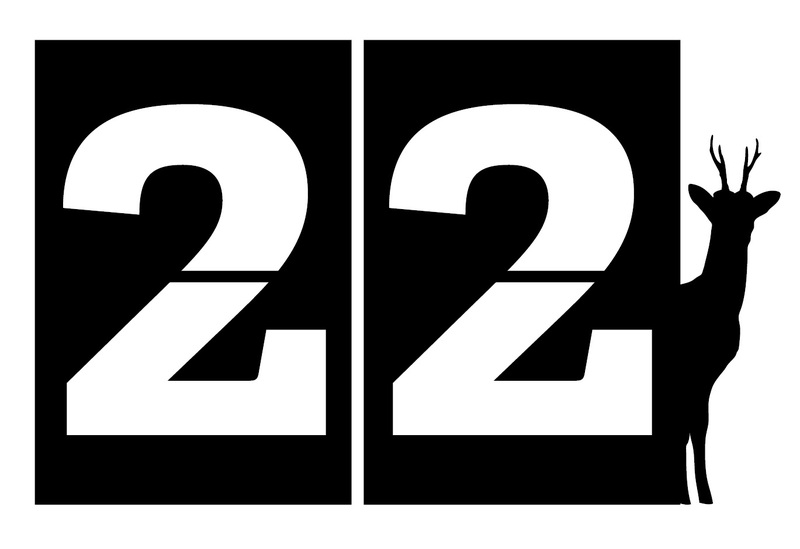 I suspect the total list would therefore be much higher than 211. A project for a quiet winter night perhaps to tally them all up. 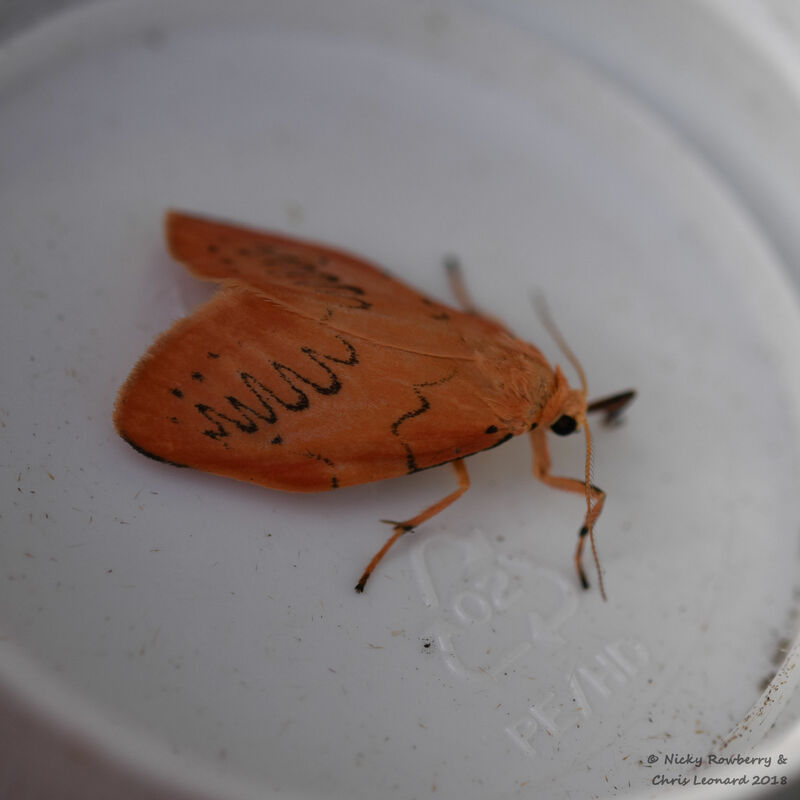 I love the surprise element of moth trapping. 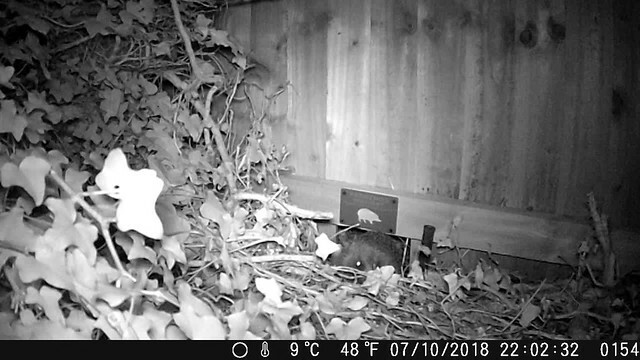 I never know what I’m going to get (if anything) when I open the trap in the morning. 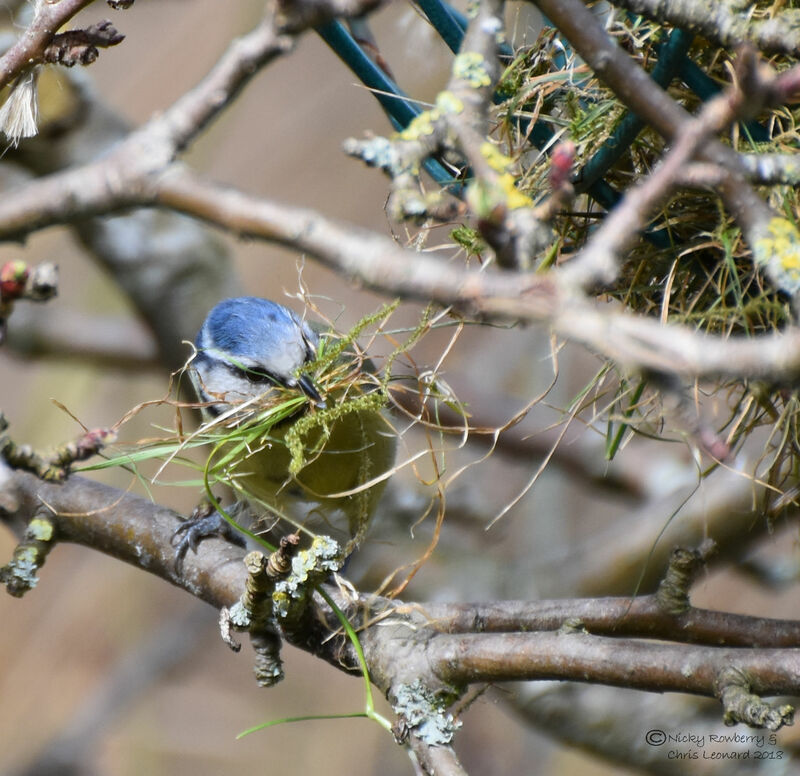 There’s always that sense of anticipation – maybe I’ll find something new, or an old favourite will appear. 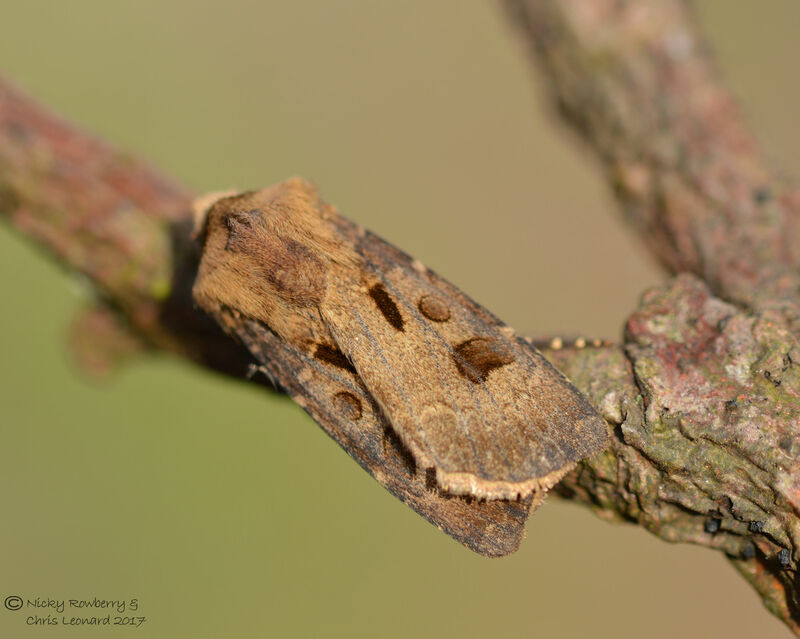 Until I started trapping, I had no idea of the diversity of moths we got in our average garden, I suspect most people are the same. 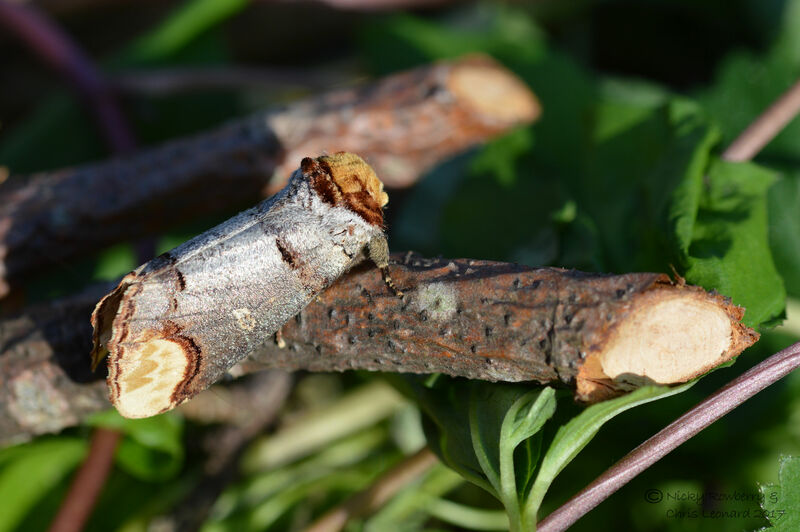 The end of the annual Garden Moth Scheme is nigh, so I’ve been checking my moth records ready to submit them to the scheme coordinator. 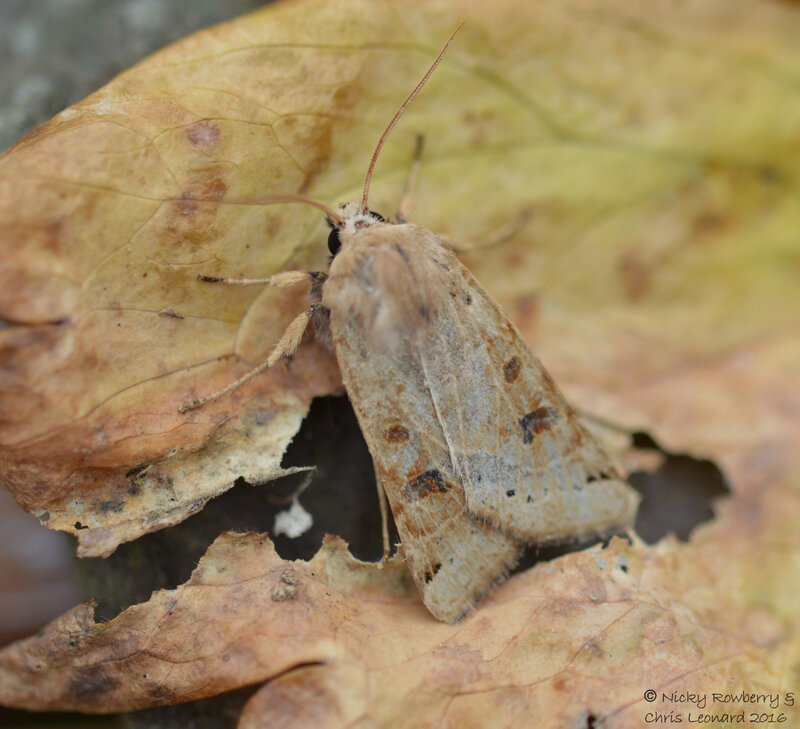 I’ve posted previously about the autumn colours of moths – how the various Sallows mimic piles of dead leaves etc. 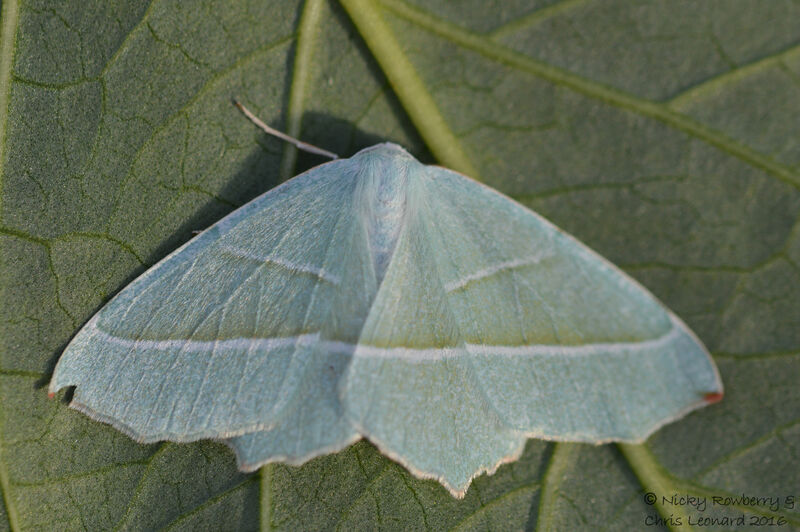 But looking at the moth list from the last few weeks, the colour that stood out was green. 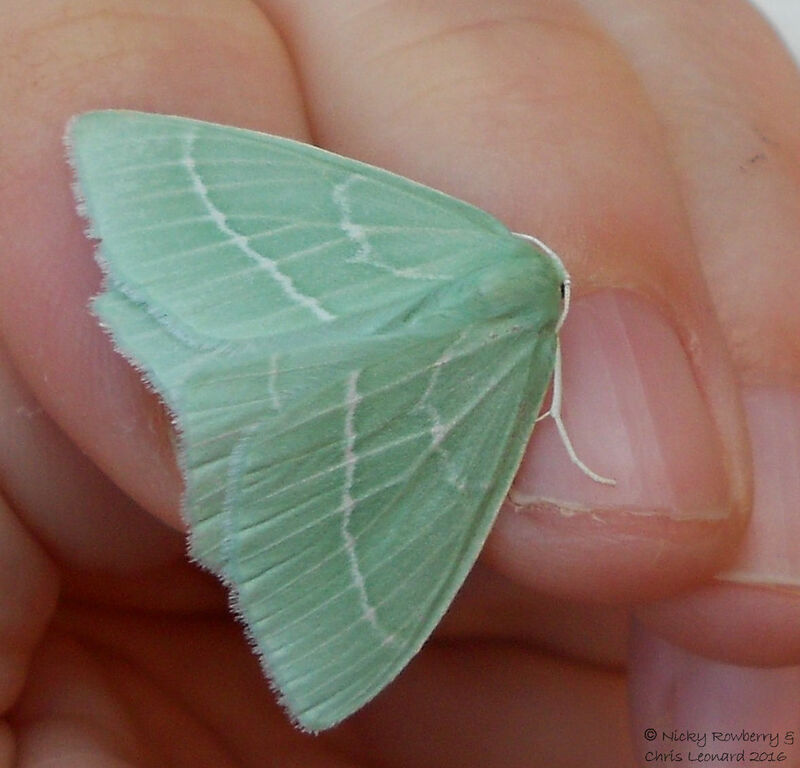 When people think of moths, they don’t tend to picture green ones, but there are some stunning ones out there. 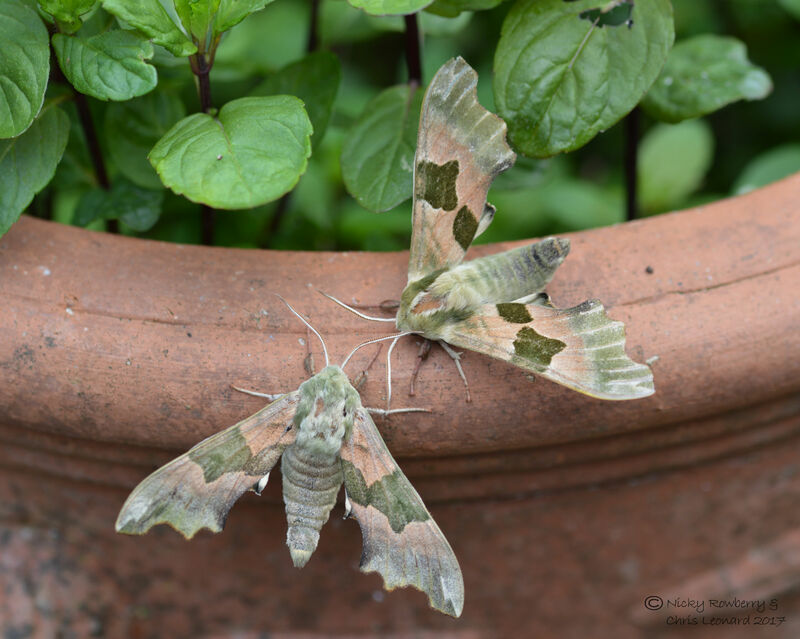 So this week’s blog is in praise of the beautiful pea-green (and other verdant shades) moths I’ve found in the garden. I’ll start though with my most rubbish photo – the Green Pug. 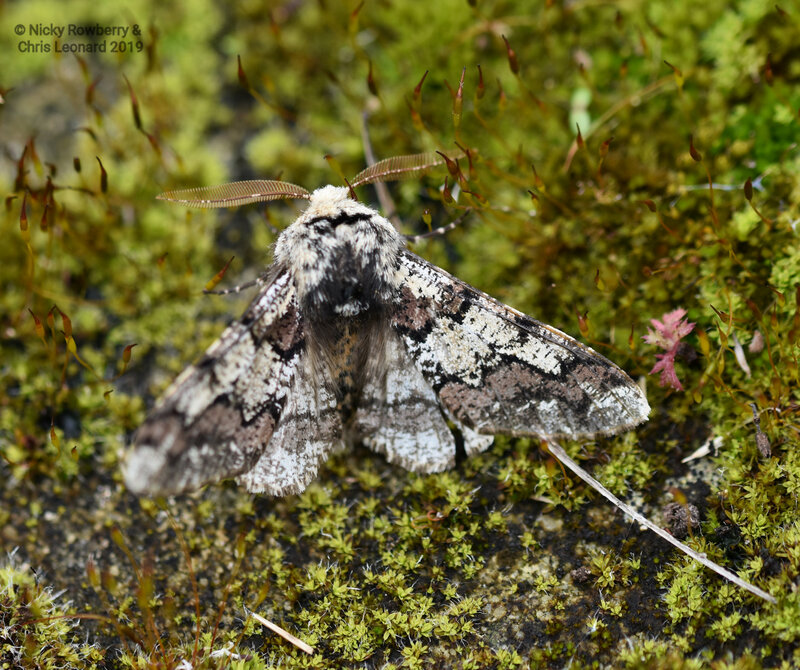 I’ve caught these several times, but all the Pug moths tend to be really flighty and as soon as you open the collecting pot, they fly off. 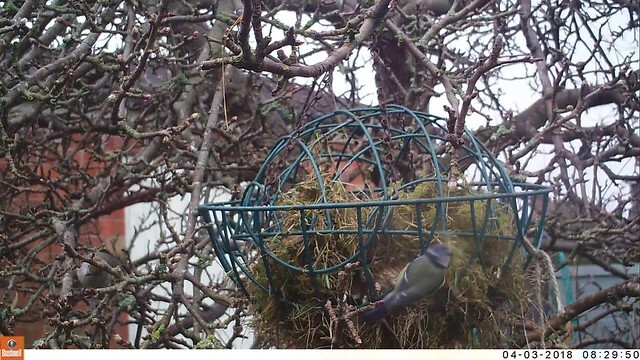 So despite repeated efforts this shot through the plastic pot is the best I’ve managed for a Green Pug. 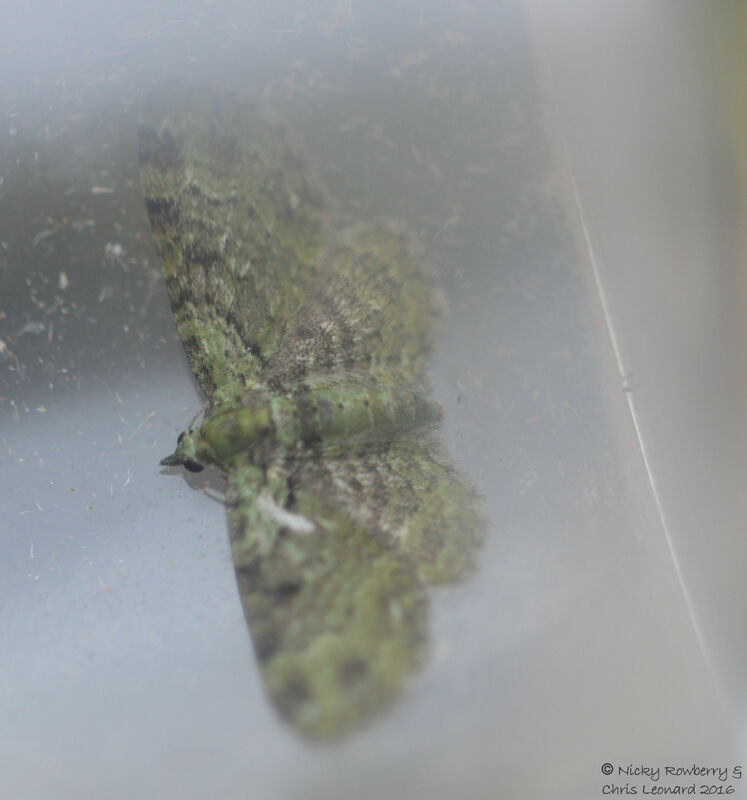 You can at least see that it is green and, if you’re into moths, you’d see that it is the typical pug shape. 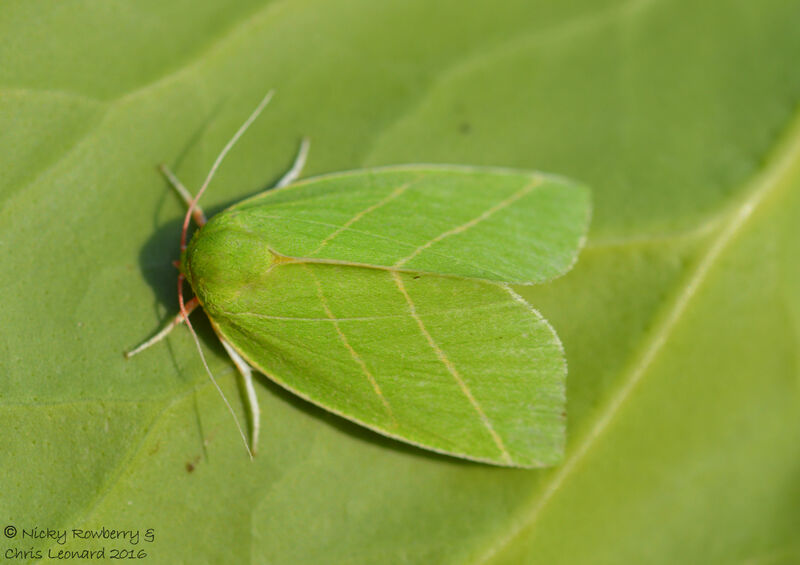 There’s a whole group of moths called the Emeralds – a great name for these gorgeous green moths. 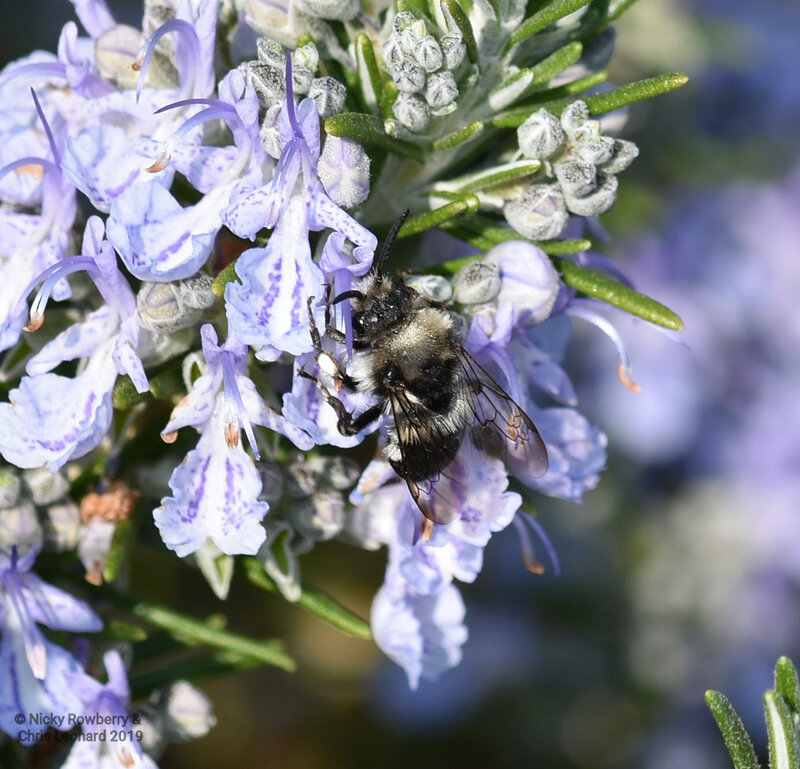 We’re lucky to get at least three species in the garden. The palest green one is the Light Emerald (a name that does what it says on the tin!) This is the largest of the emeralds we get here and has reddish tips to the end of its wings (although this one has lost one where something’s taken a bite out of it). 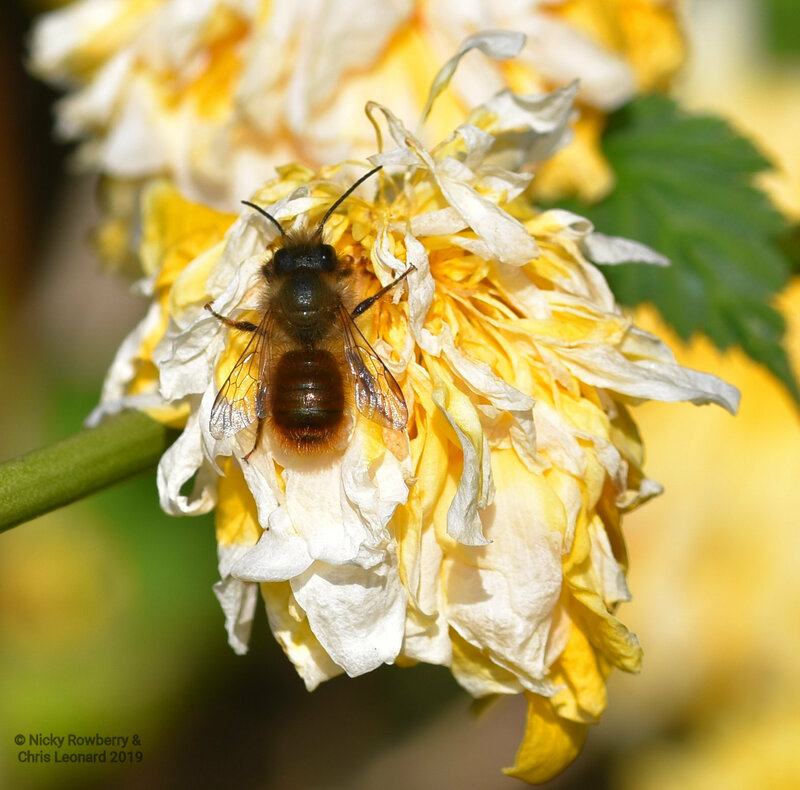 The third one is a Common Emerald which didn’t actually put in an appearance in the garden this year (perhaps it’s not that common? ), but we’ve had it previously. Confusingly it is smaller than the Small Emerald! 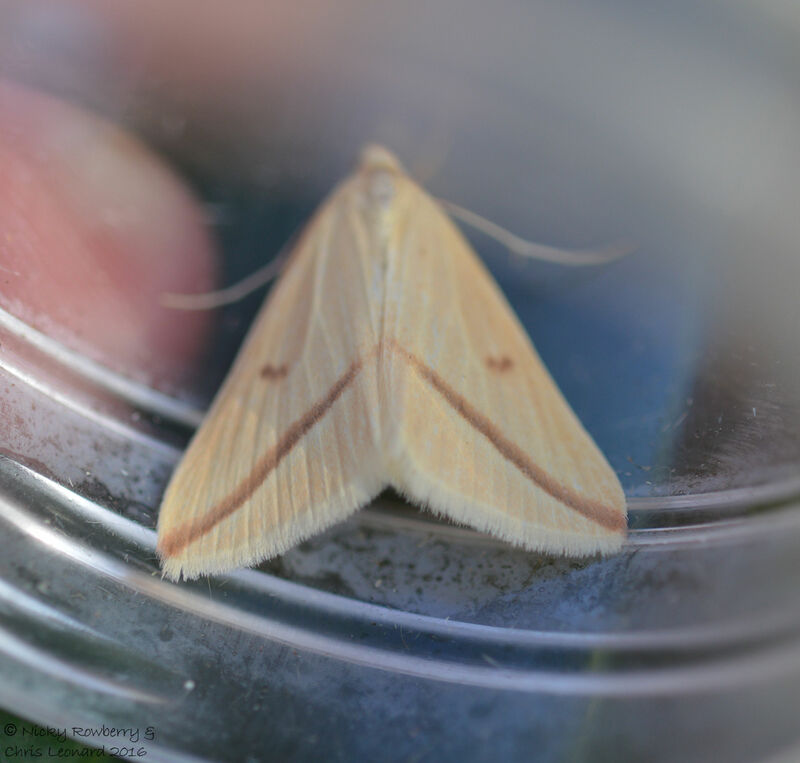 From a “Common” moth that didn’t appear this year to a “Scarce” moth that did – the Scarce Silver Lines. This is a stunning moth with pales lines across a green background that are presumably intended to resemble veins on a leaf. 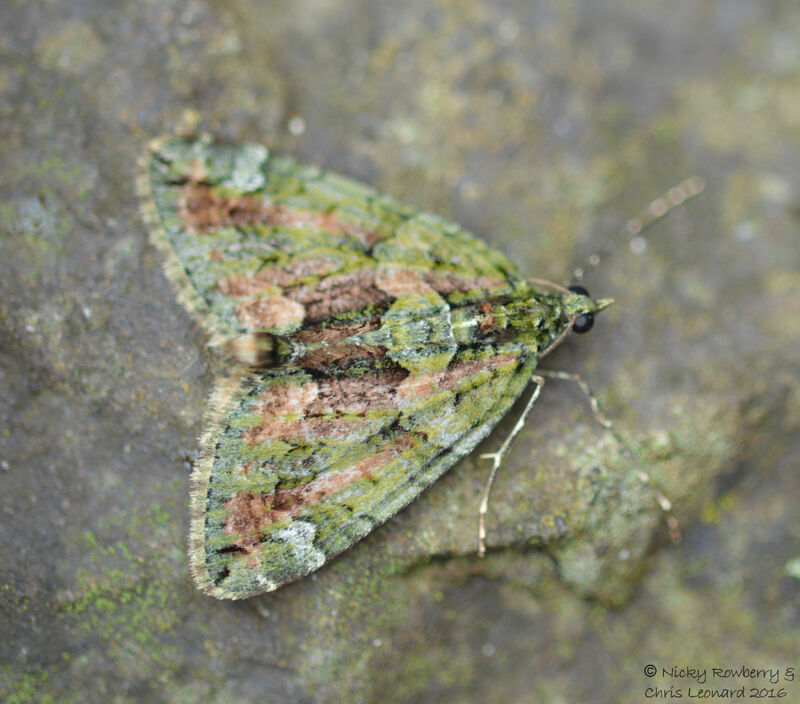 The Red-Green Carpet moth below is quite common in our garden right now. 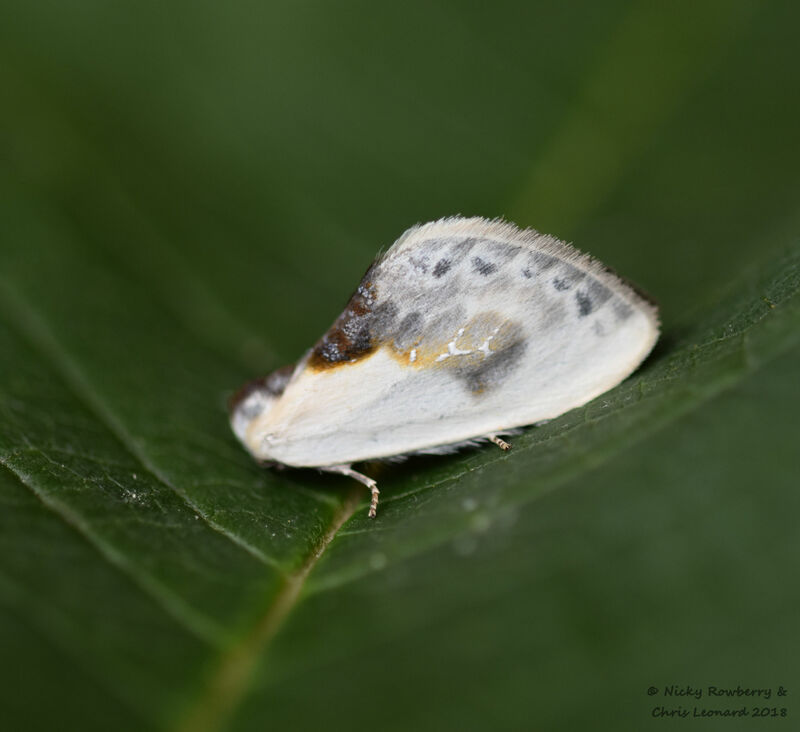 These carpet moths have nothing to do with the ones that eat your carpets indoors. 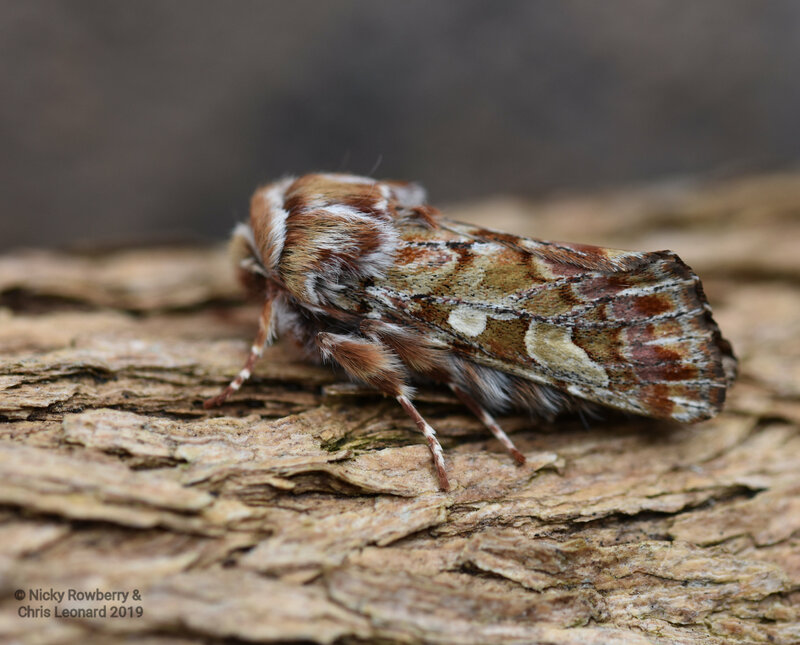 They are definitely outdoor moths and are named because the patterning supposedly reminded the Victorians of their intricate carpets. 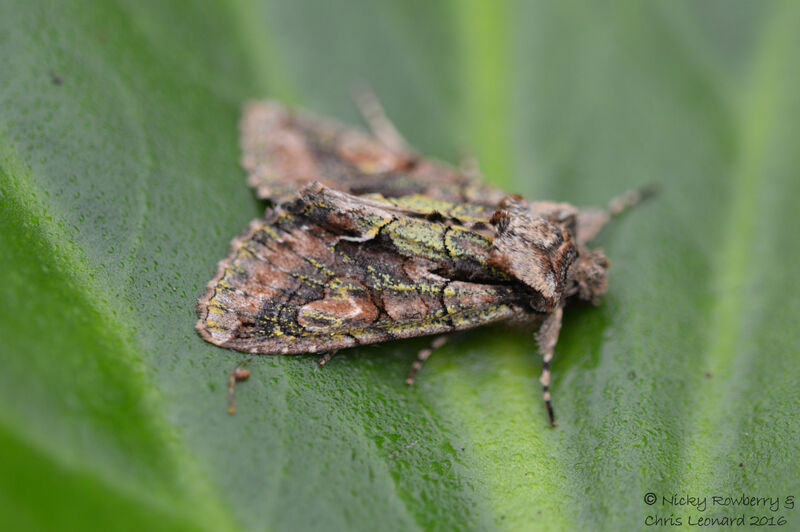 The base colour of the Green-brindled Crescent is a fairly dull mottled brown. 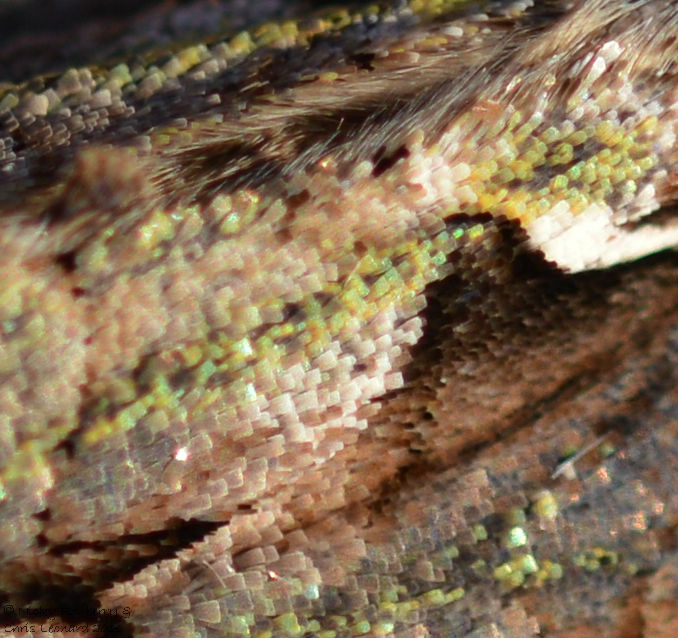 But is has areas of metallic green scales (close up below) that shimmer in the right light to give it a beautiful green sheen. 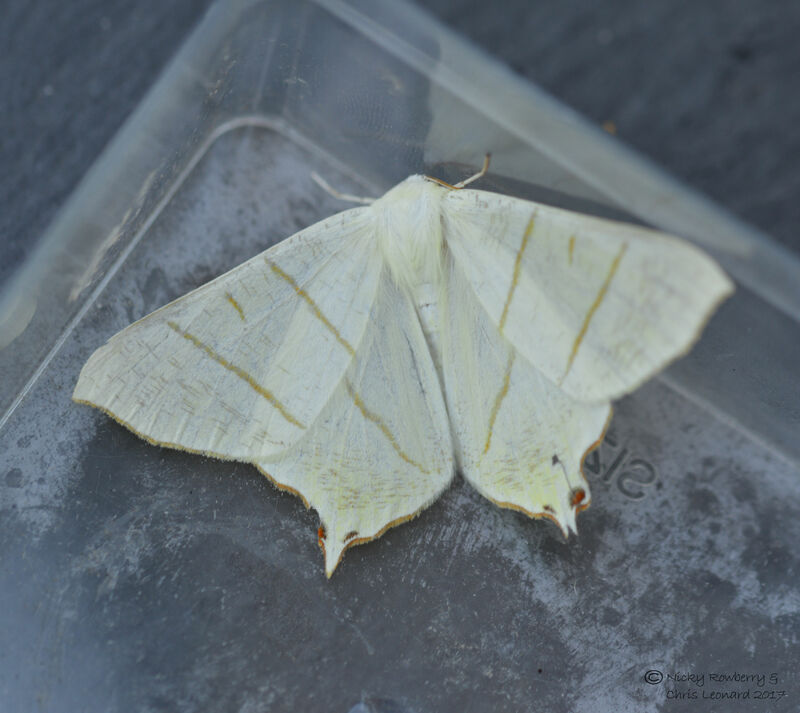 There have been a few of these in the trap recently, the new ones almost glitter green, but later in the season they lose the green scales and become much duller. 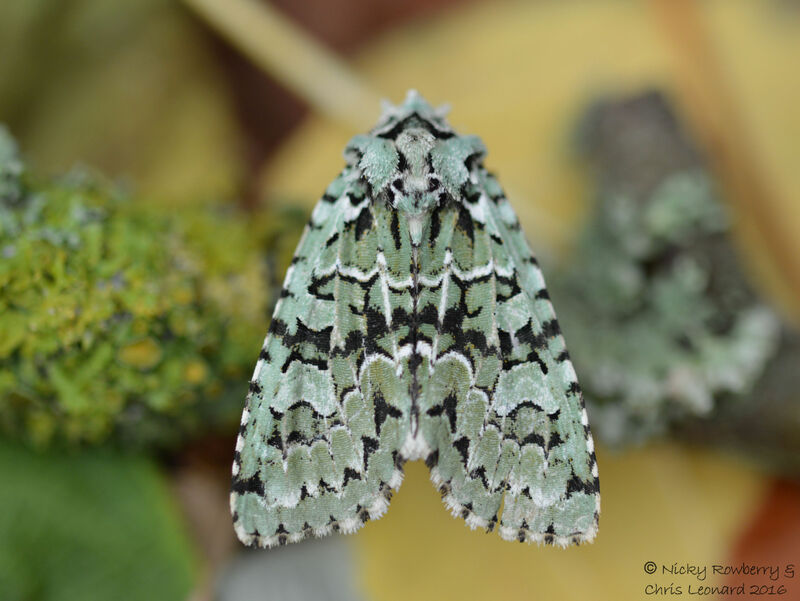 I have saved my favourite to last – the absolutely stunning Merveille du Jour. 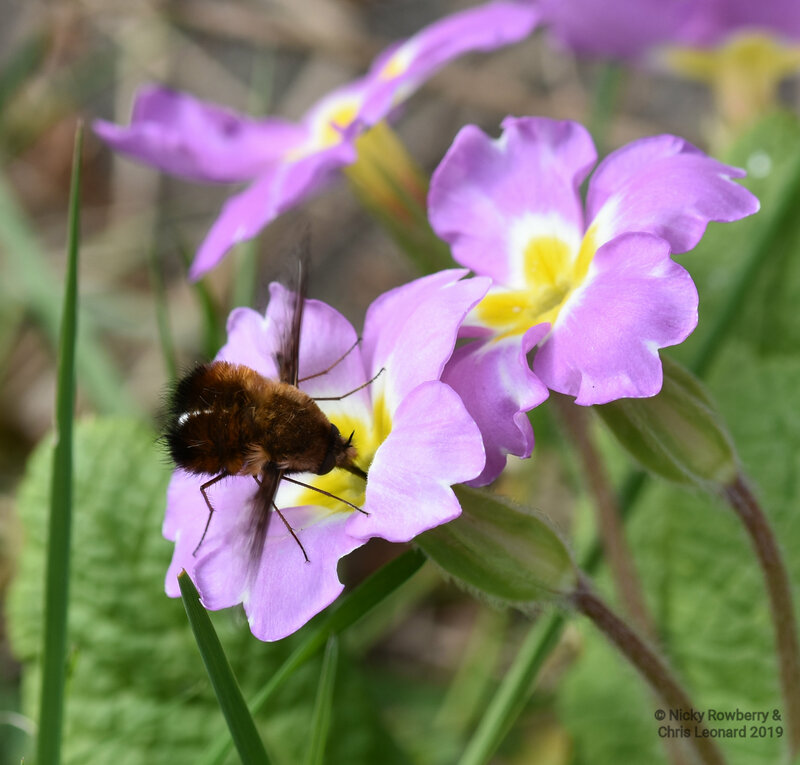 I love everything about these moths – their marvellous (or should that be mervellous – sorry!!) 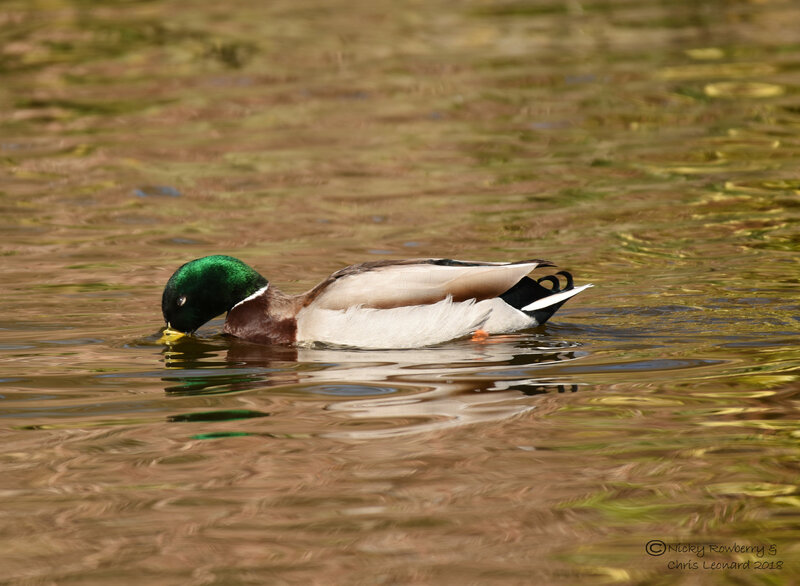 name, their fabulous colours and even the fact that they tend to be really docile and patient while I try and take photos. 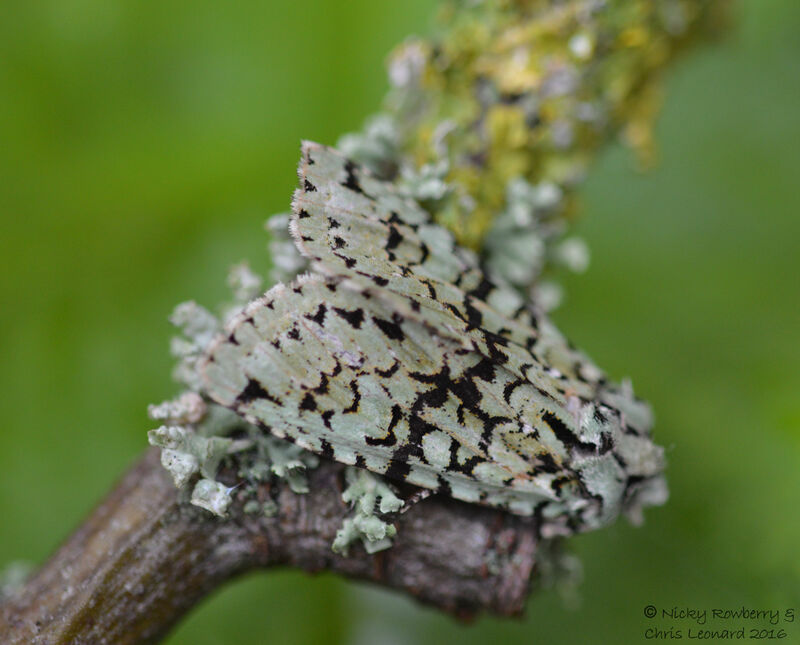 This gorgeous moth mimics lichens on tree branches, which means I’ve spent an awful lot of time trying to get the perfect shot of one doing just that. The following are by no means perfect, but they do at least hopefully show what I’m on about. There are lots of other green moths out there, so hopefully I can add to this collection as the years go by. 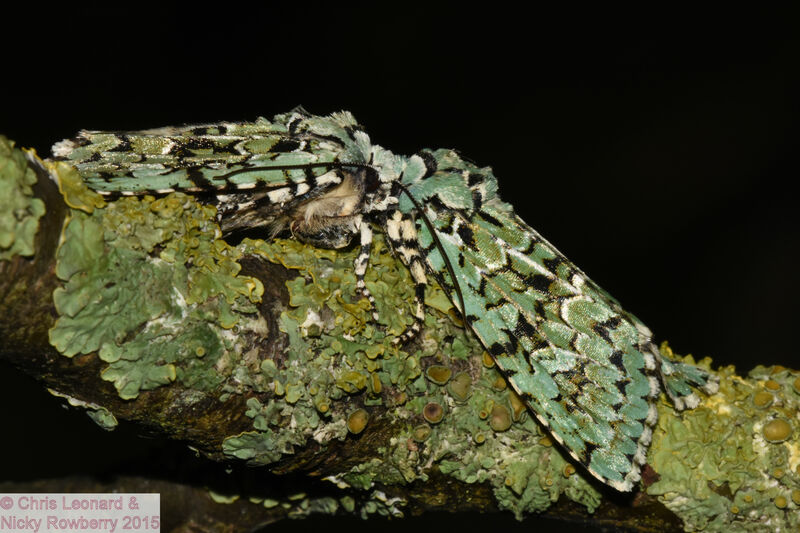 There is even one called the Scarce Merveille du Jour – I can but dream!! 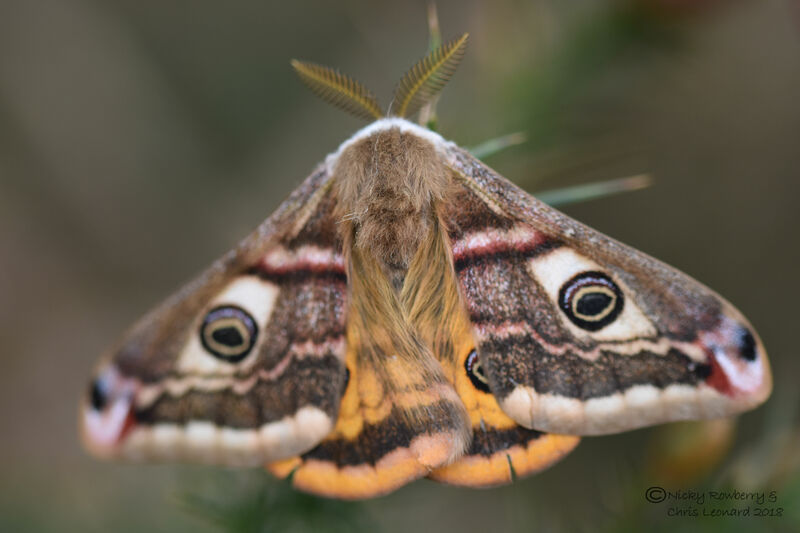 When I first started on my mothy learning curve, I never dreamt just how many moths we would get in our garden. 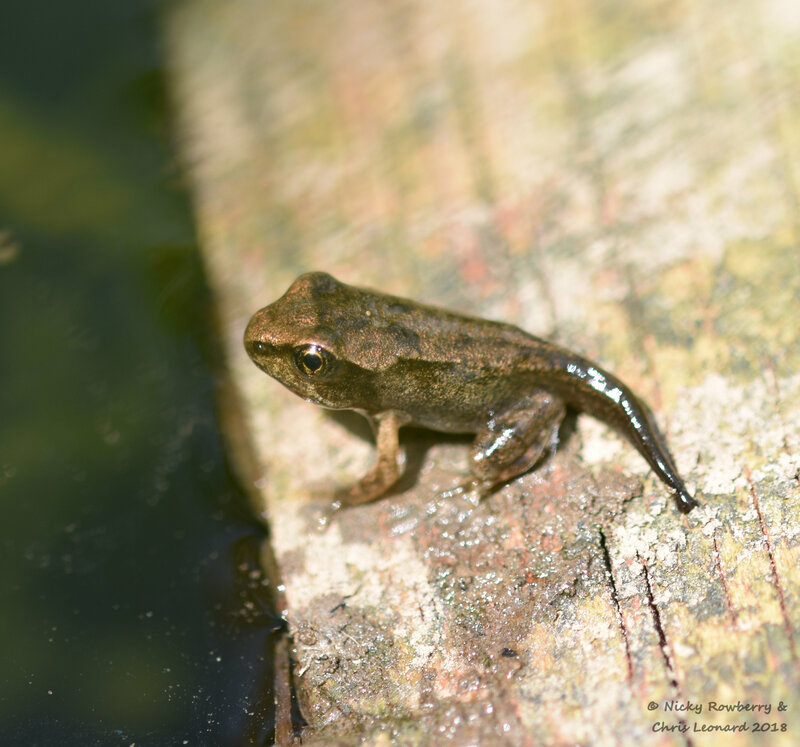 The first year I kept a serious count (2014) we hit 127 species, which I thought was amazing. 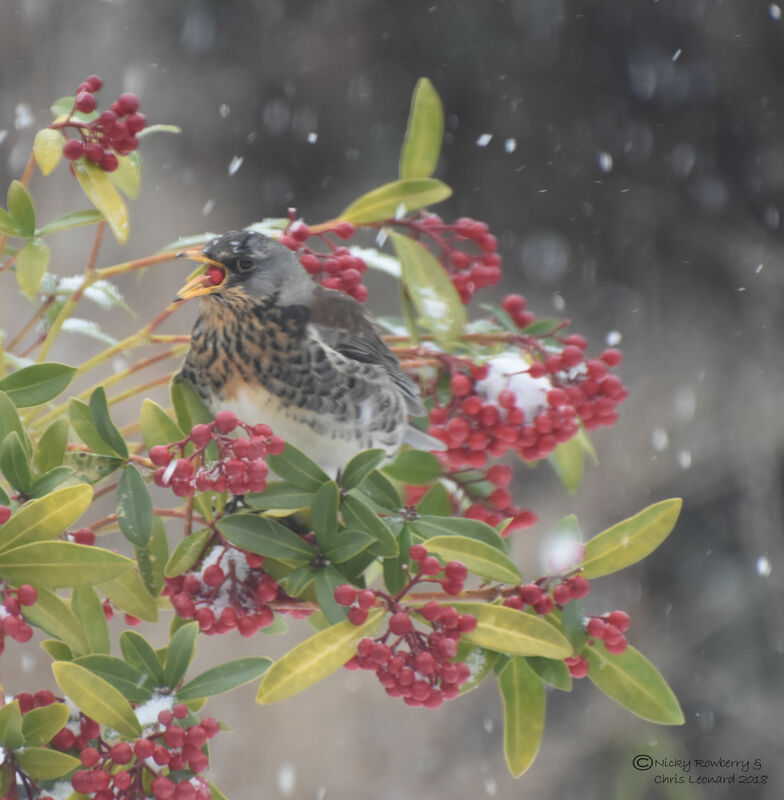 In 2015 we got 155 species and I thought we’d never beat that. This year as we reached the upper 180s, grim determination set in that we’d reach 200. Of course as soon as you set your mind to something like that, everything seems to slow down, but gradually the numbers edged closer to the magic double century. 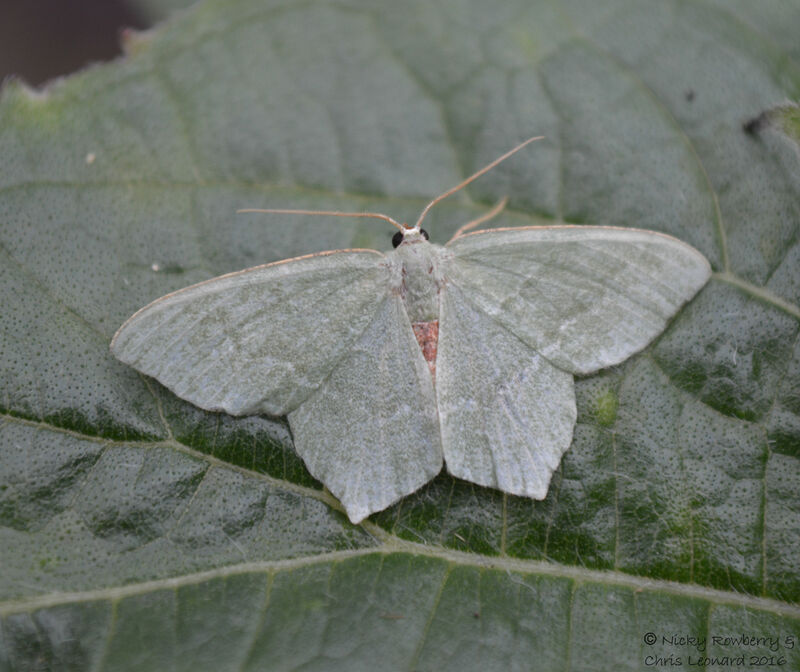 We finally reached number 199 last week with a species I’d been longing to see – the delightfully named Vestal Moth. 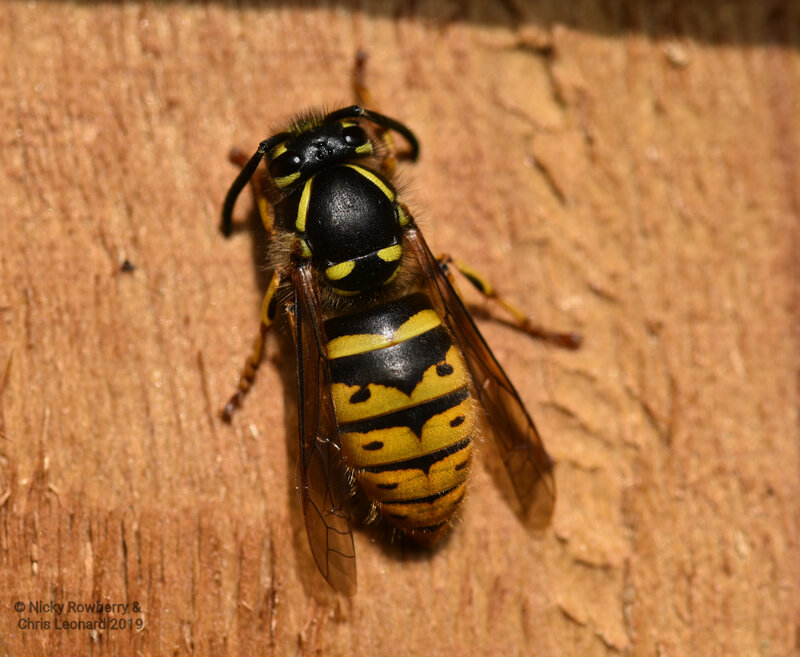 This is an attractive migrant species, that I’d been envying on other people’s twitter feeds for a while, so I was really chuffed to get one in the garden. 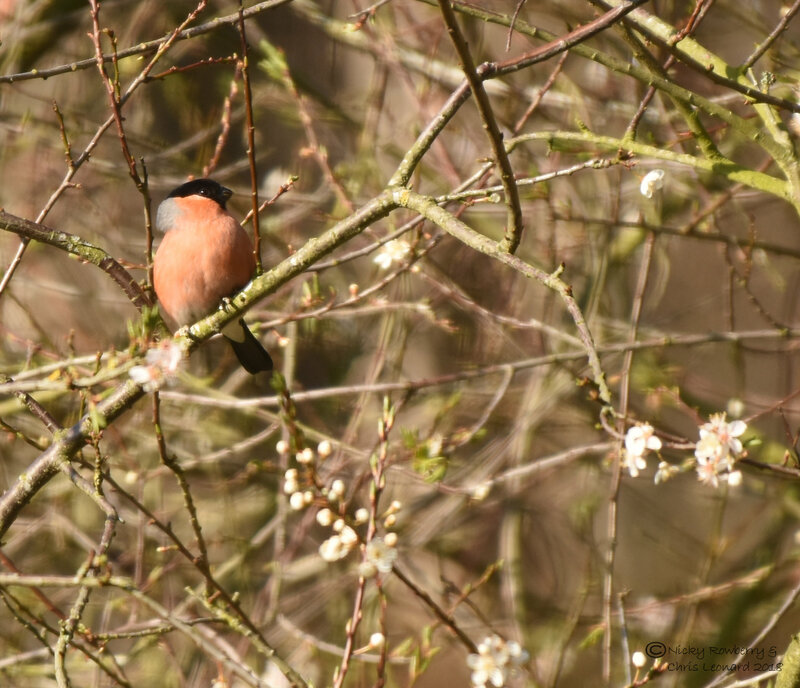 Shame it didn’t hang around long enough for a better photo. 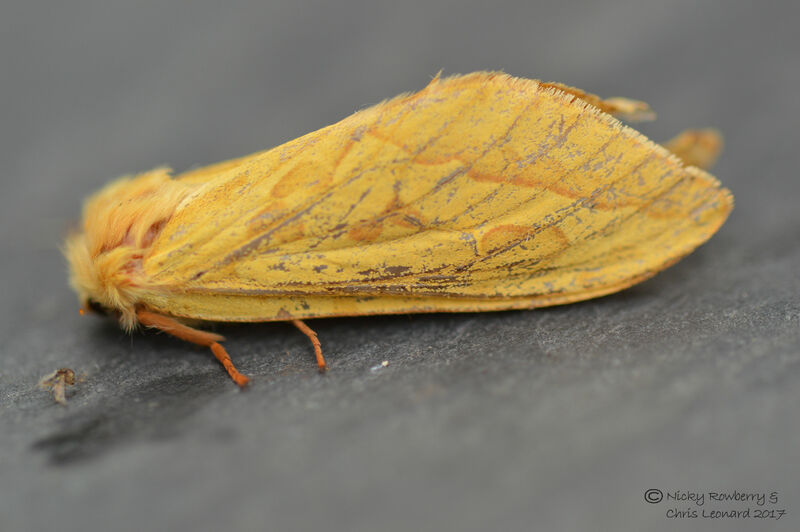 Following the excitement of the Vestal, there were then a few nights trapping with nothing new to add to the list. Lots of interesting moths, but nothing to take me to the magic 200. 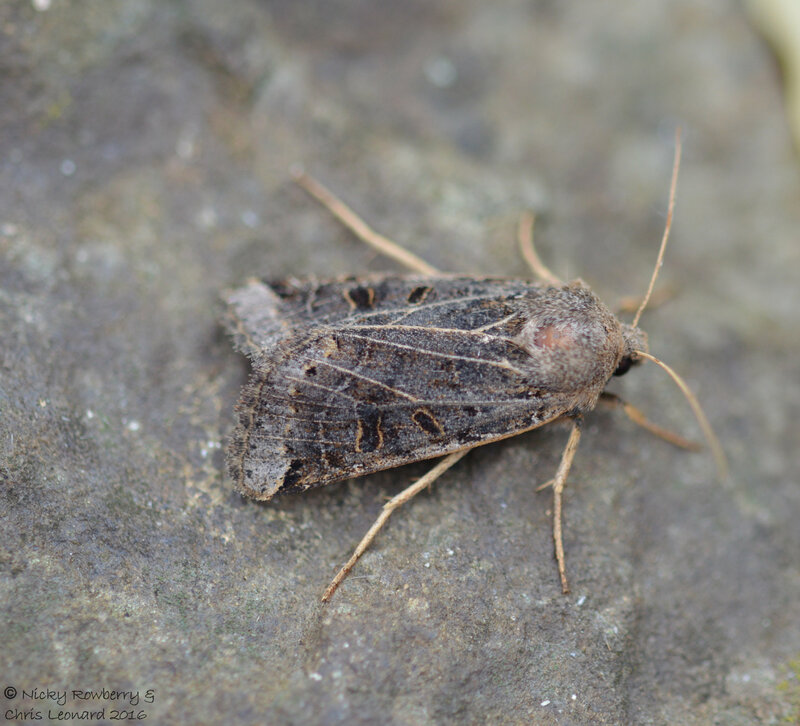 Lunar Underwings were particularly abundant and very varied. 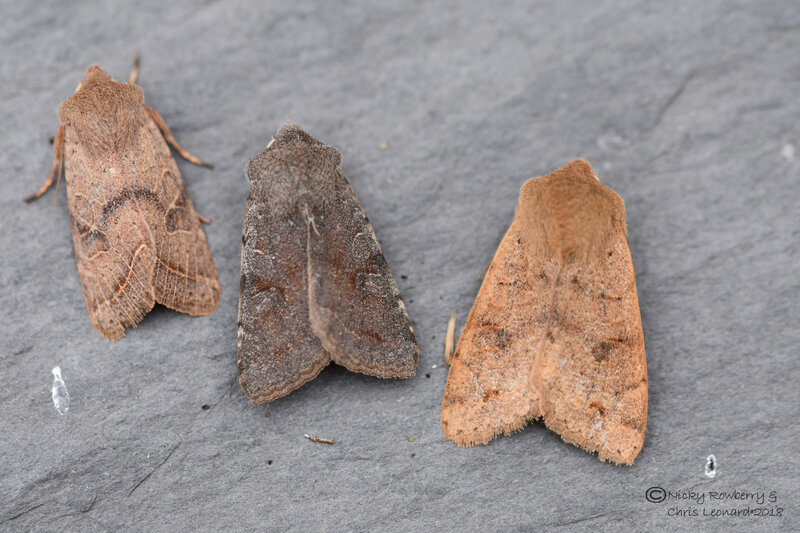 Both the examples below are Lunar Underwings, but they look quite different. Finally last night in flew not only number 200, but numbers 201 and 202! 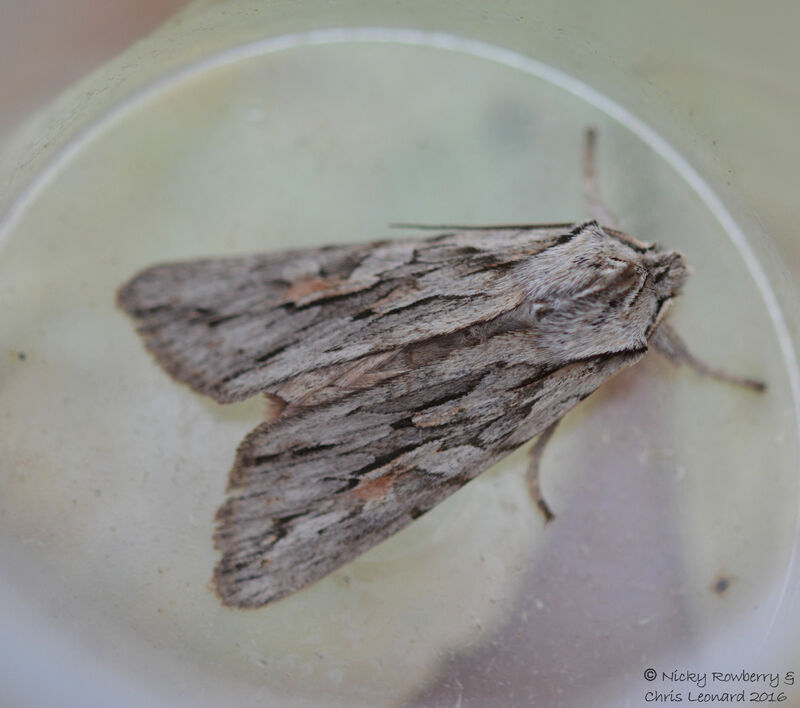 Number 200 was this – a Blair’s Shoulder Knot. Don’t know who the original Mr Blair was (presumably not Tony), but I was very happy to see his moth. Funnily enough it had been a Blair’s Shoulder Knot that took me to my final figure of 127 species back in 2014. 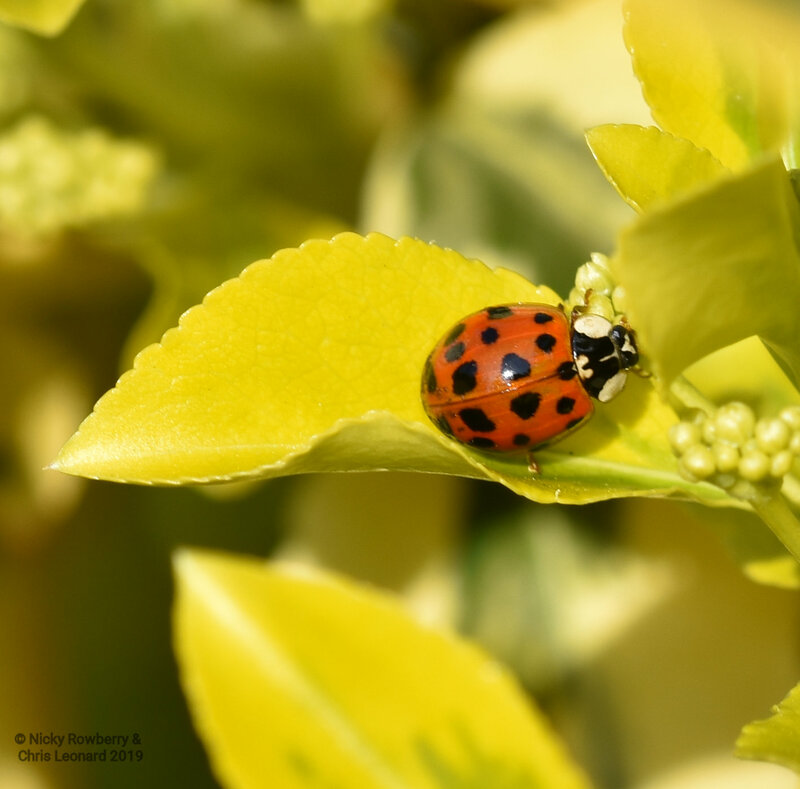 A lucky species for our garden perhaps? No. 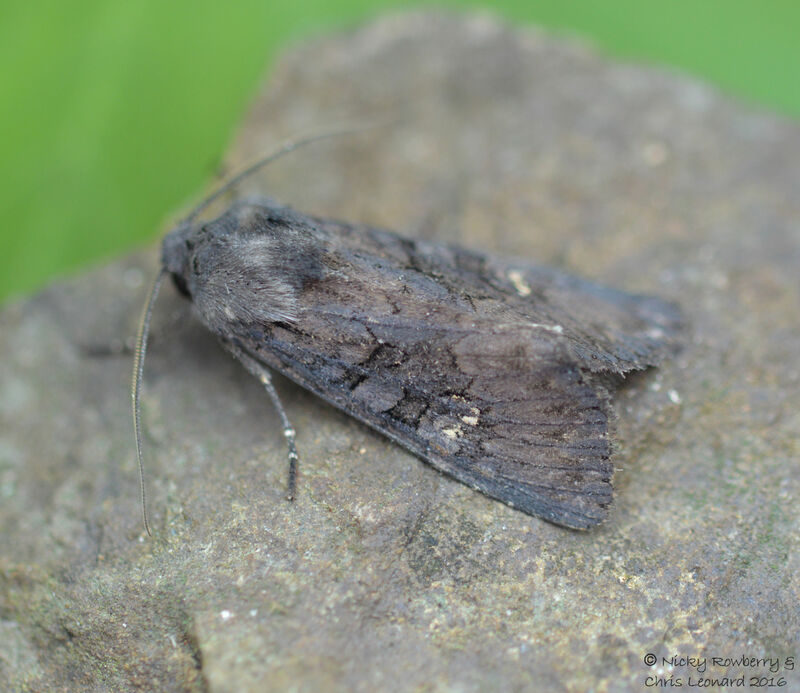 201 was a Black Rustic – which actually looks a lot glossier and blacker than this photo suggests. No. 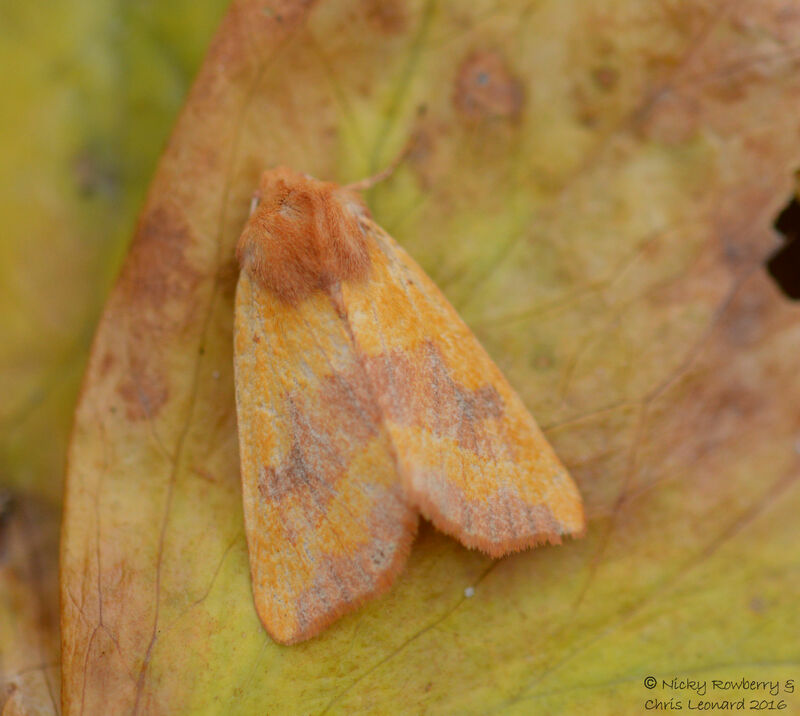 202 was the autumnal looking Sallow. 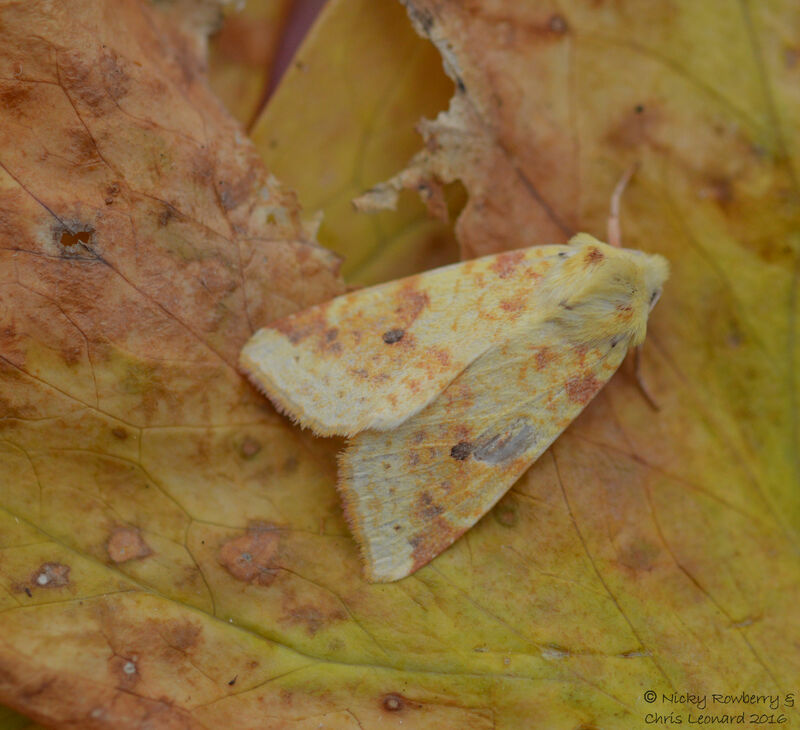 You can see how easily it would blend in with piles of autumn leaves – as would the Centre Barred Sallow below. 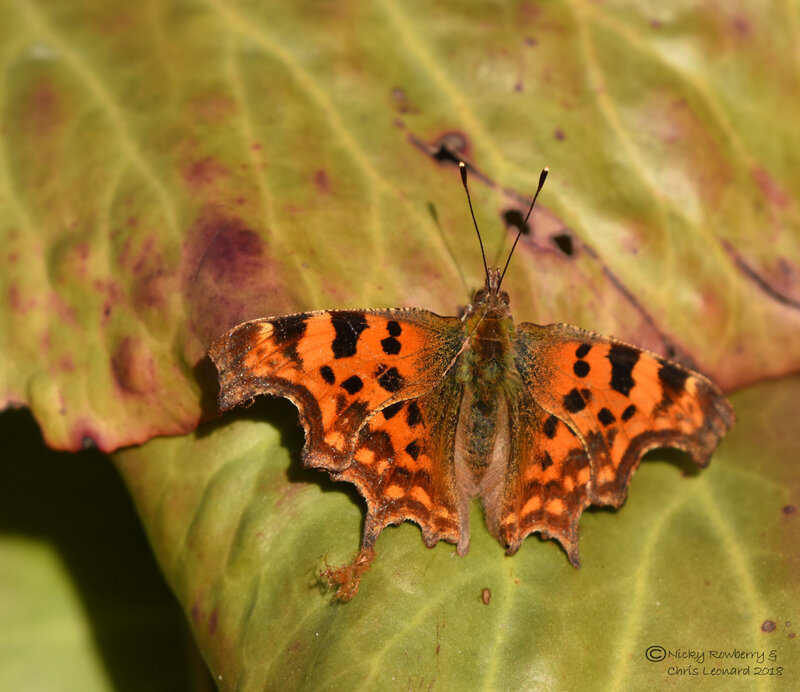 So I’m very happy to have reached 202 species of moth and we’re not even in October yet. 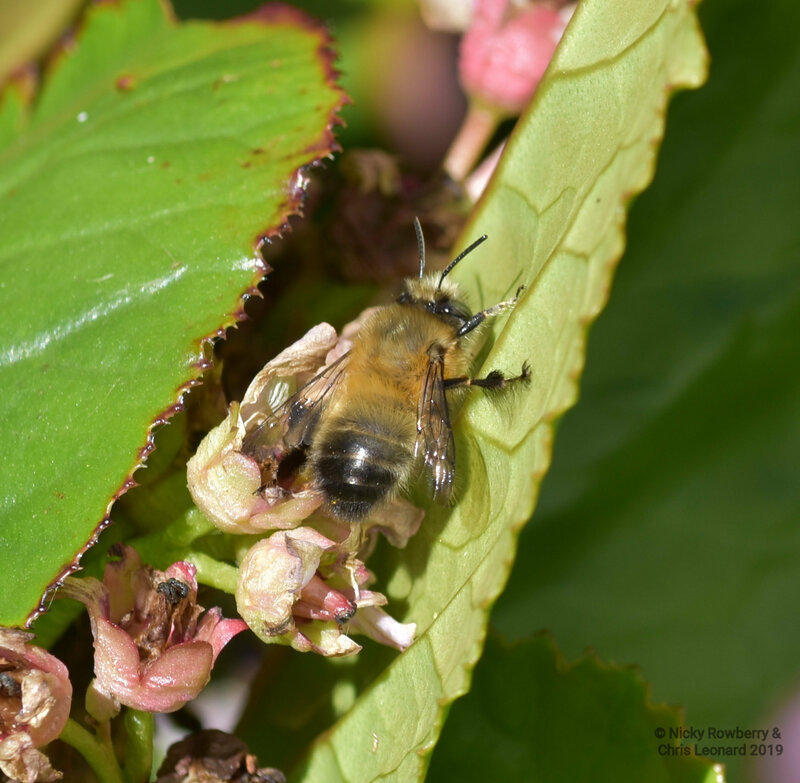 Hopefully we’ll get a few more species before the year is out. Of course all this will leave me with a problem for next year. 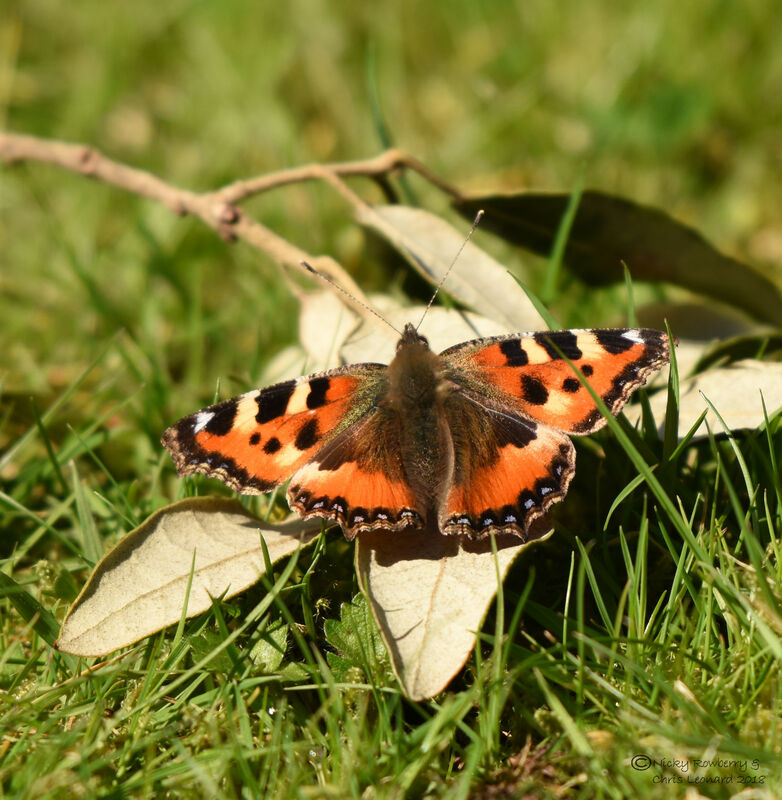 Realistically moth numbers in our garden can’t keep increasing at this rate. 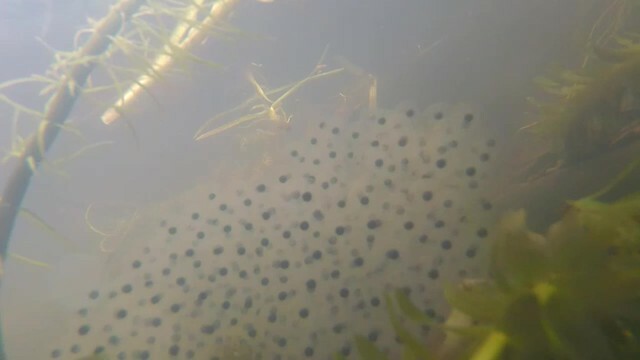 I know there are several species that we’ve had previous years that have been no shows this year, but then some that we’ve seen this year maybe won’t appear next. Will I be disappointed if we don’t get more next year? Maybe, but then I could always start compiling a definitive list of all moths species seen in the garden to date since I started trapping. 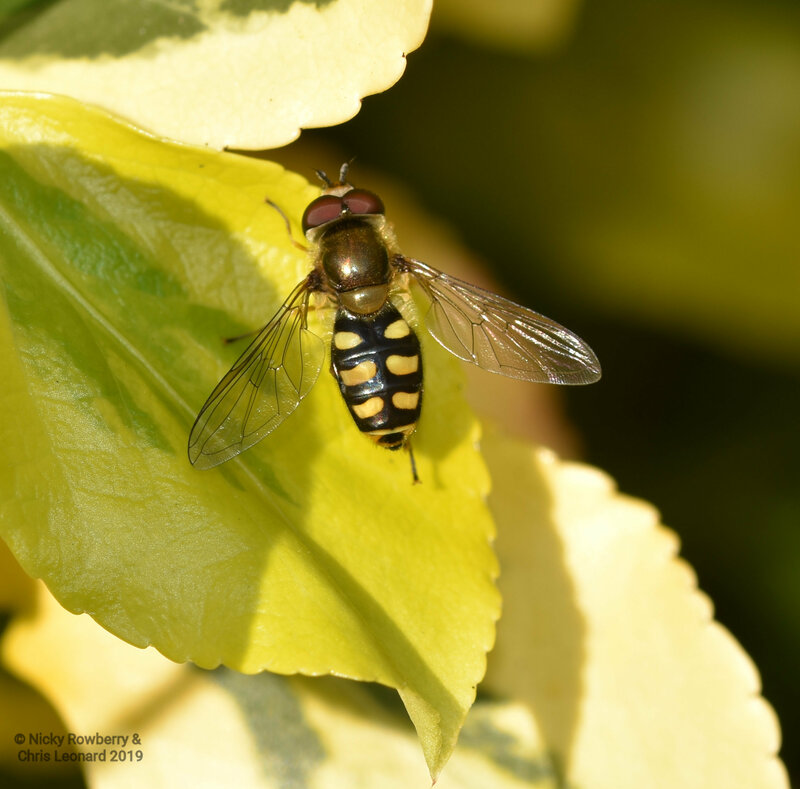 Or of course I could start obsessing about another group – anyone know anything about hoverflies? 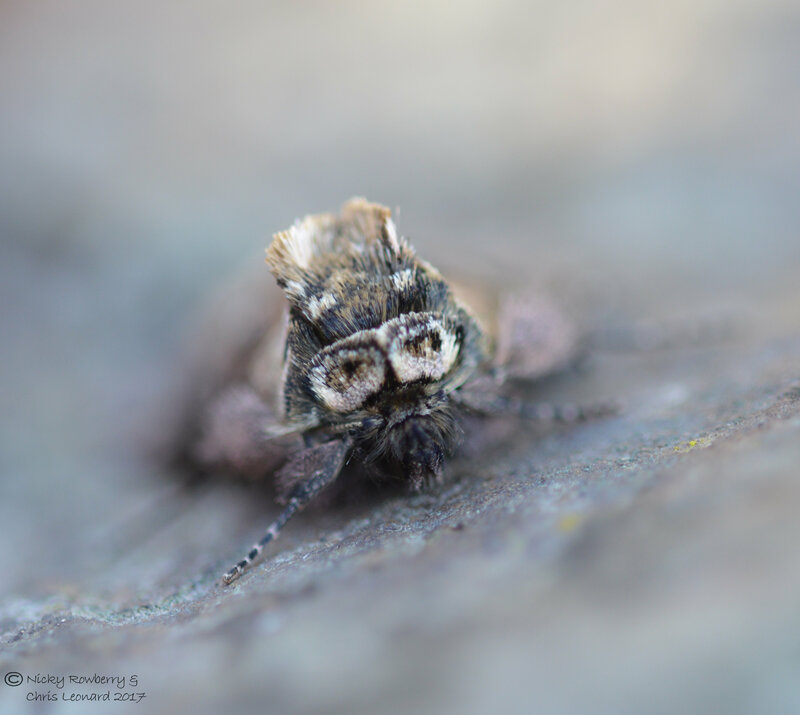 It’s apparently been National Moth Week this last week, although I’ve only just realised that today – a bit late. 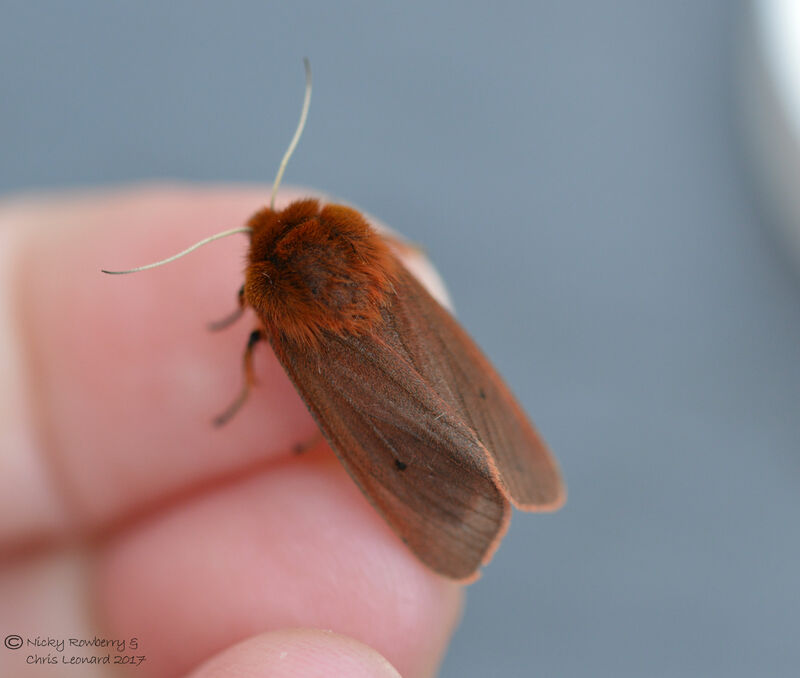 Fortunately I’d run the moth trap at the weekend anyway, so I was sort of participating in Moth Week, albeit unwittingly! 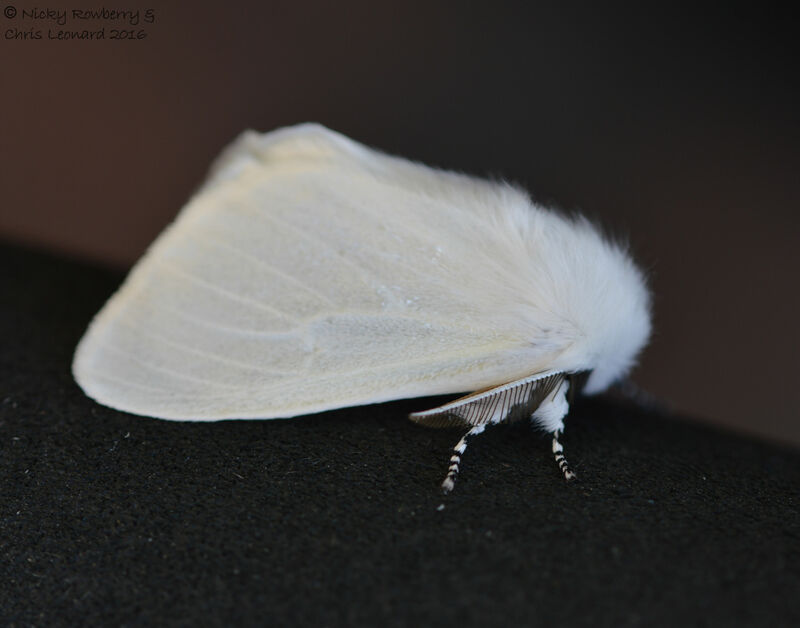 My star moth from this weekend was this beautiful white one – the Yellow Tail. 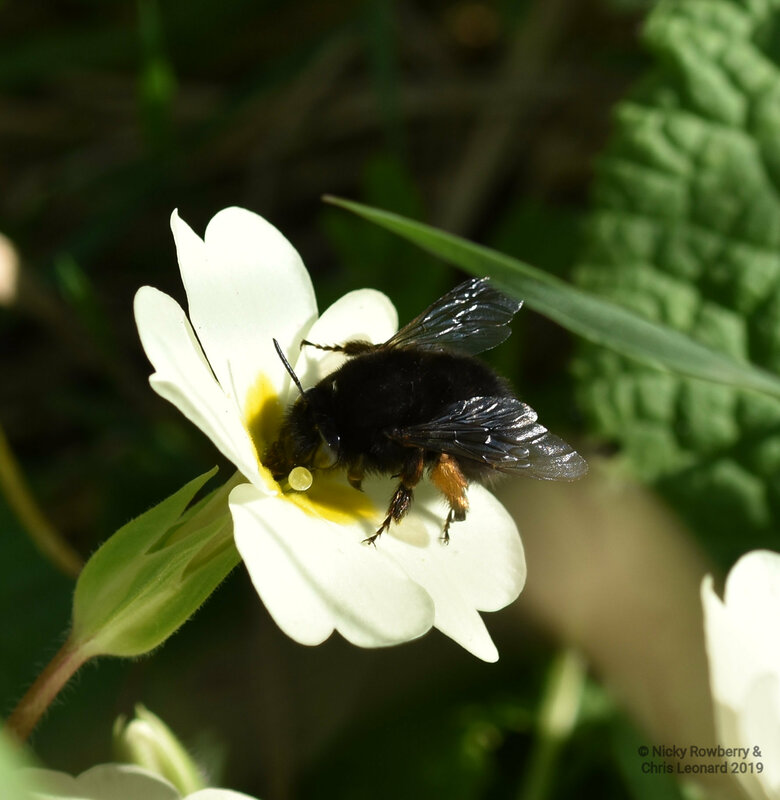 It does have a yellow abdomen which it sticks out when disturbed, but personally I’d have called it something that described its beautiful white wings a bit better. But whatever the name, it’s a lovely moth and I was so happy to finally get one in our garden. 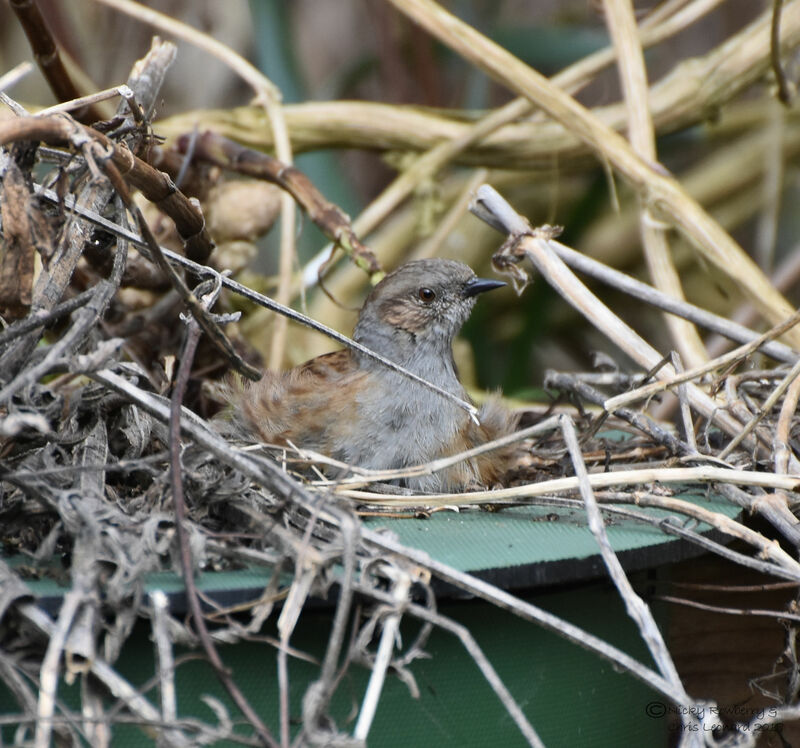 Two weeks ago I’d got another first for the garden which I’d initially thought was a Yellow Tail, until I realised it didn’t have one! Closer inspection revealed it to be a White Satin (whoever named this one was more on my wavelength), which has a lovely sheen to its wings and stripy little front legs. Feeling on a bit of a roll with the white moths, I raided the photos to see what other ones we’ve had. 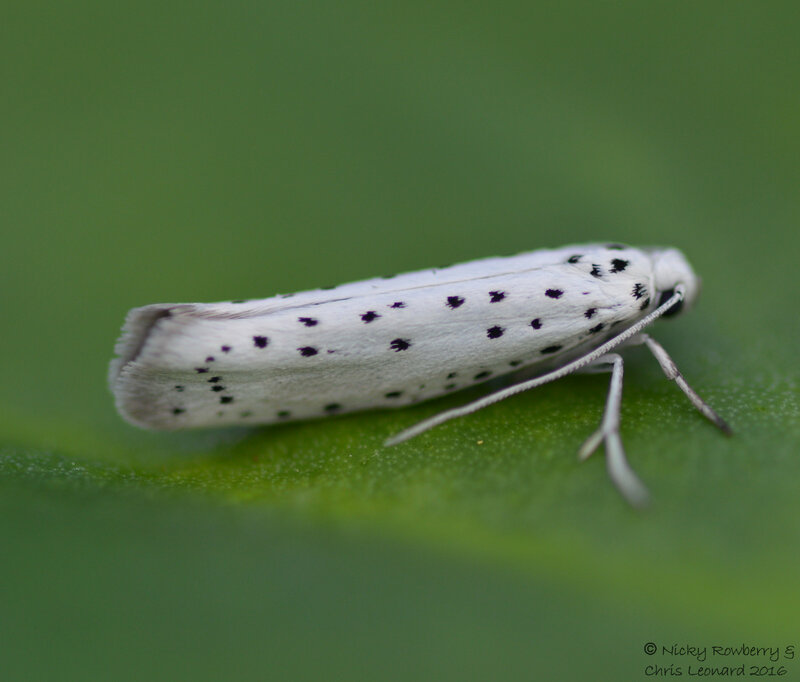 The most obvious was the White Ermine. 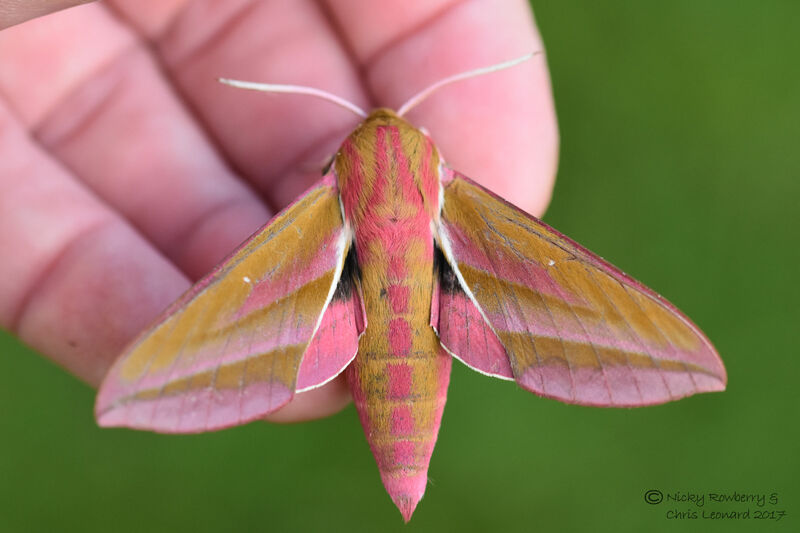 We get these most summers and they really are stunning – and easy to identify making them the perfect moth in my book! 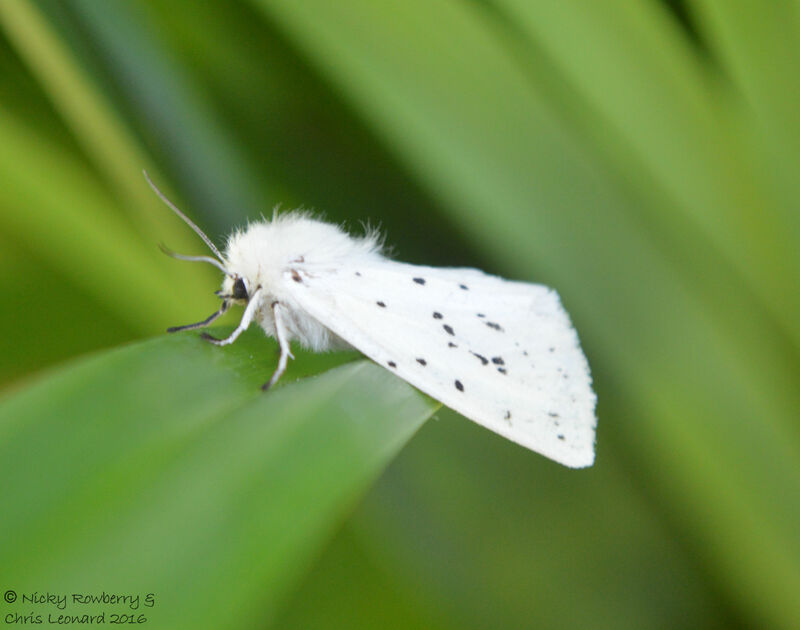 The next white moth I could think of was the other type of Ermines we get. 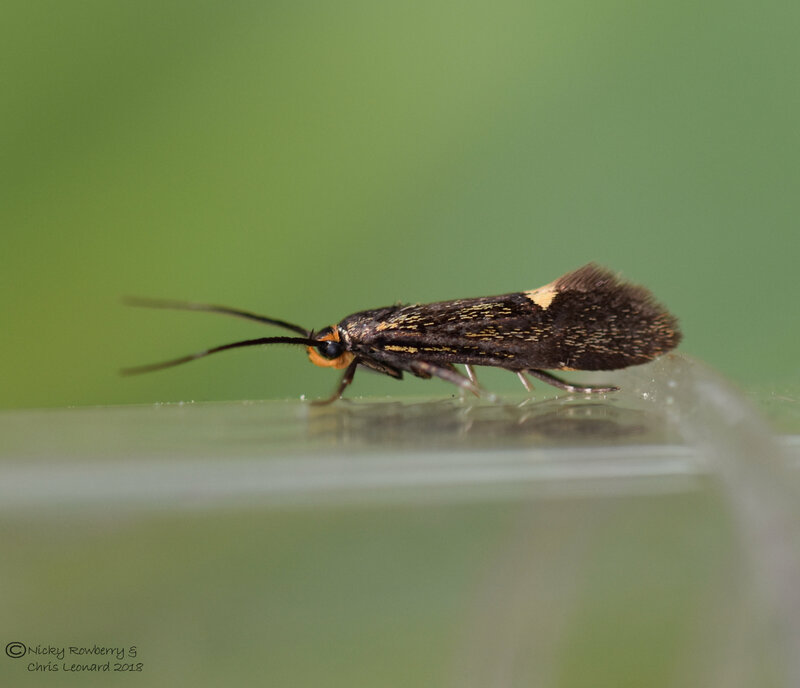 These tiny micro moths feed on fruit trees and turn up in the moth trap regularly, but they are really difficult to identify. 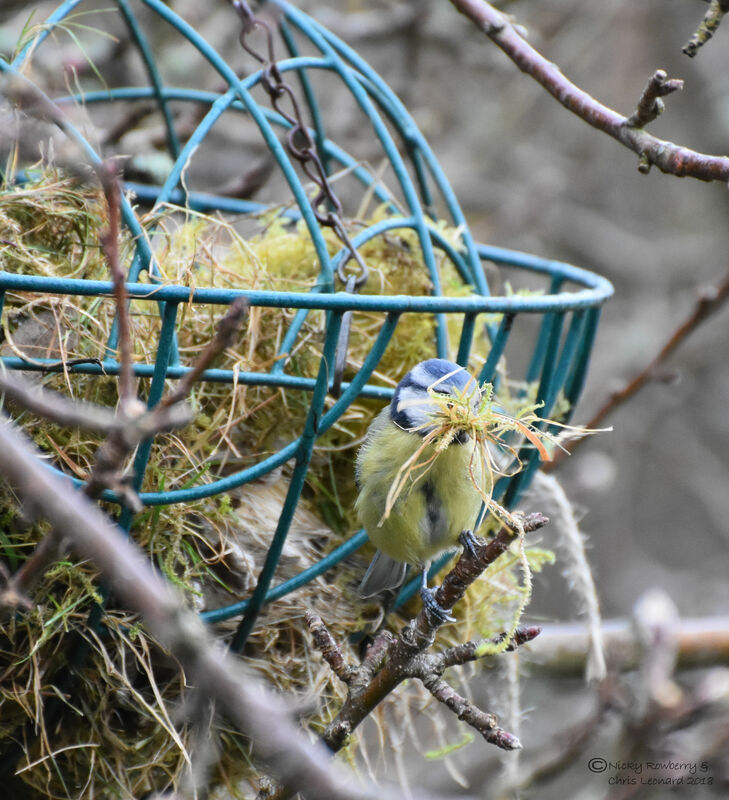 The books advise that you should breed them up from the food plant to be certain of the species, but that doesn’t help when you’ve just caught one in a trap. 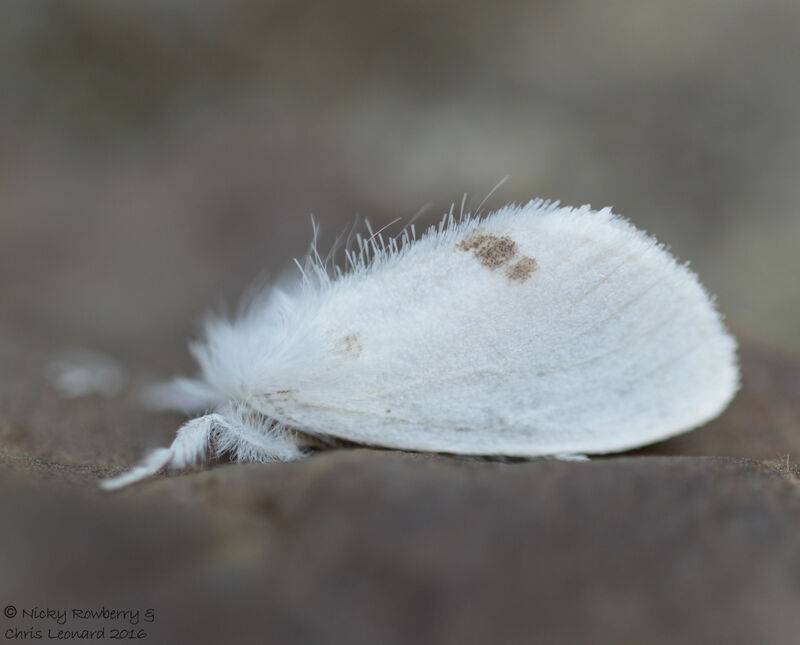 The trap was right next to our apple tree, so this maybe an Apple Ermine, but we have plum trees nearby too, so it could be an Orchard Ermine. We may even be getting both species. 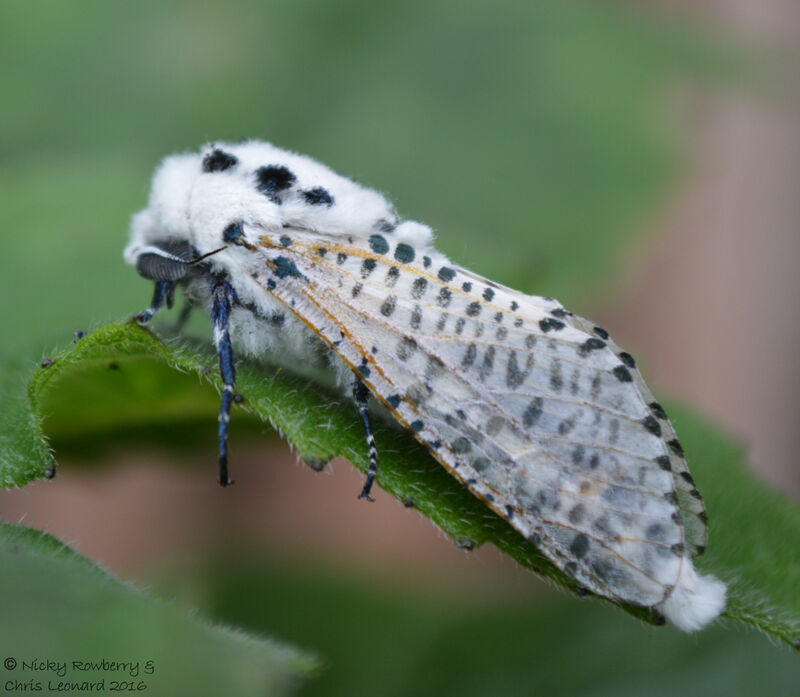 The final white moth of the day is the Leopard Moth. 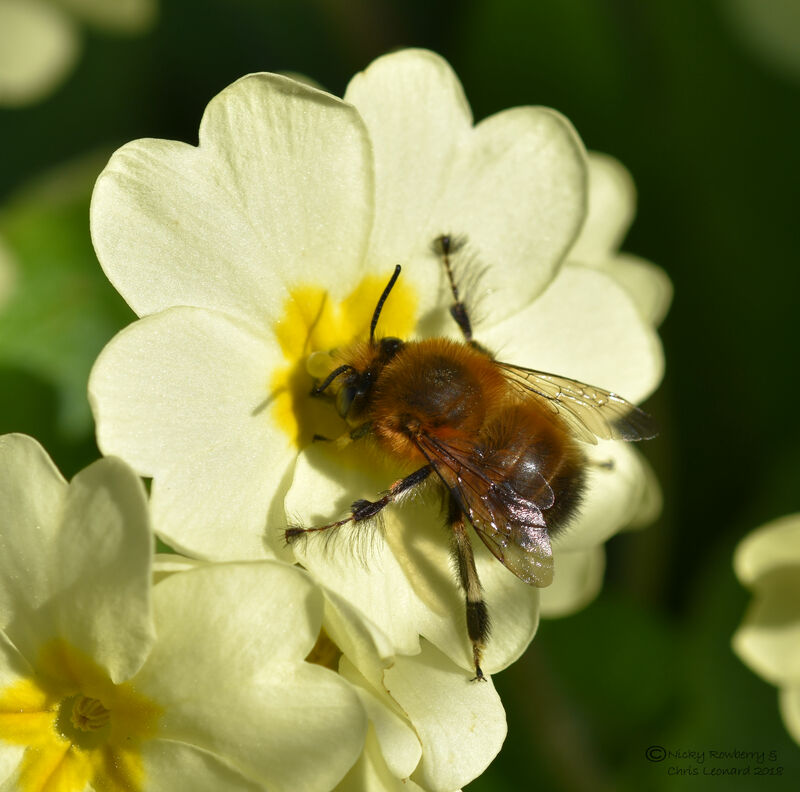 I’ve not seen one in the garden yet this year (although I did see one on the Wildlife Trust’s Moth Breakfast back in June), so this is a photo from last year. 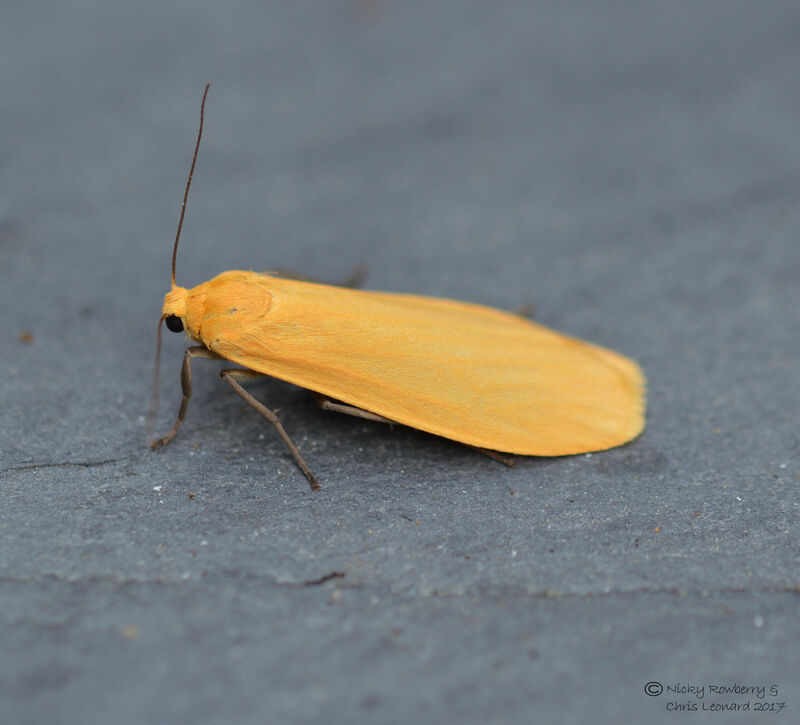 These are crazy unmistakable looking moths. I find these white moths really hard to photograph, mainly because I’m no good with camera settings so do most of it on auto. 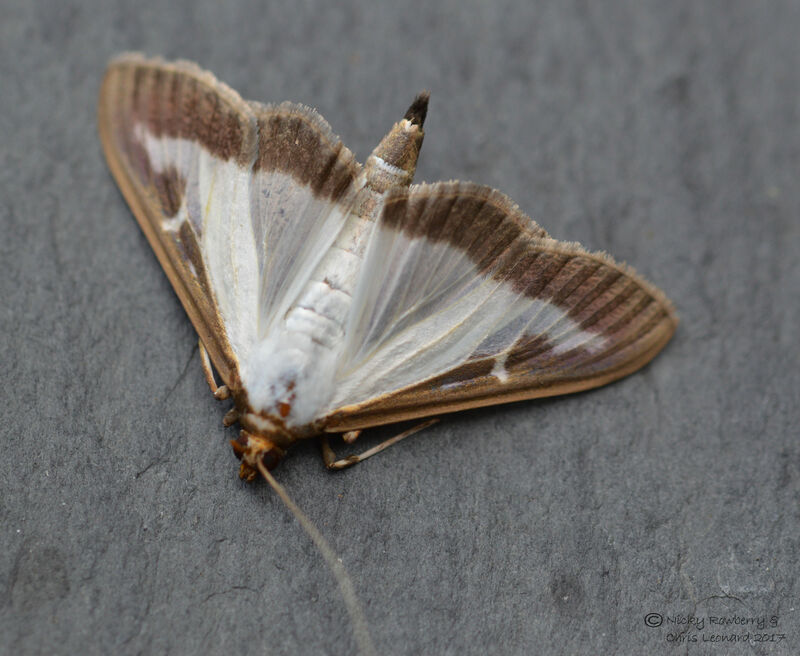 Trouble with using auto on white moths is that it struggles with the exposure as they are often too white against whatever background they’re on and the photos can look blown. 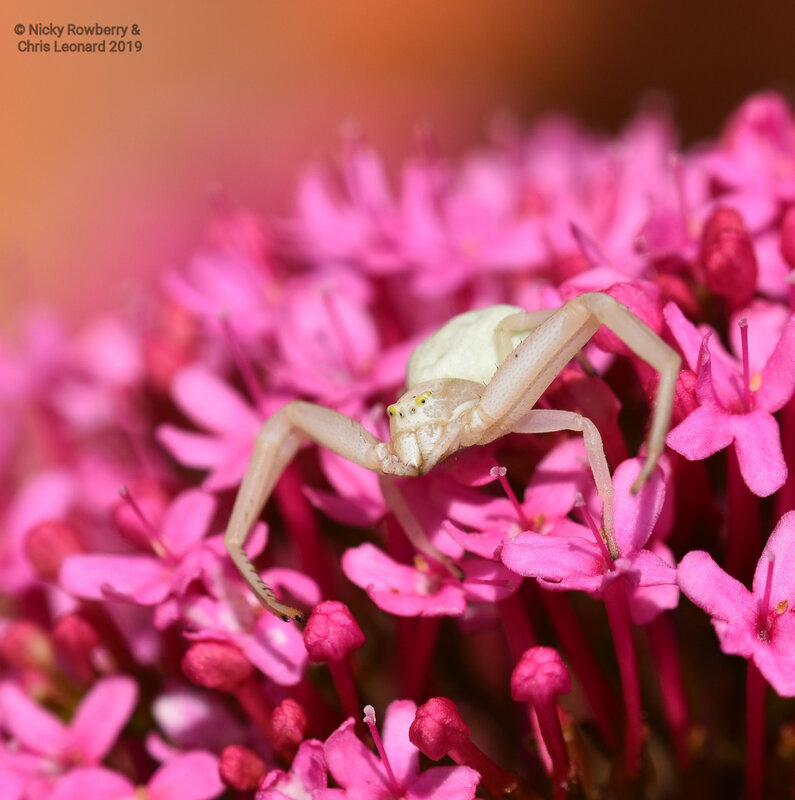 The White Satin was particularly awkward as it flew out of the pot and landed on the black tripod leg. 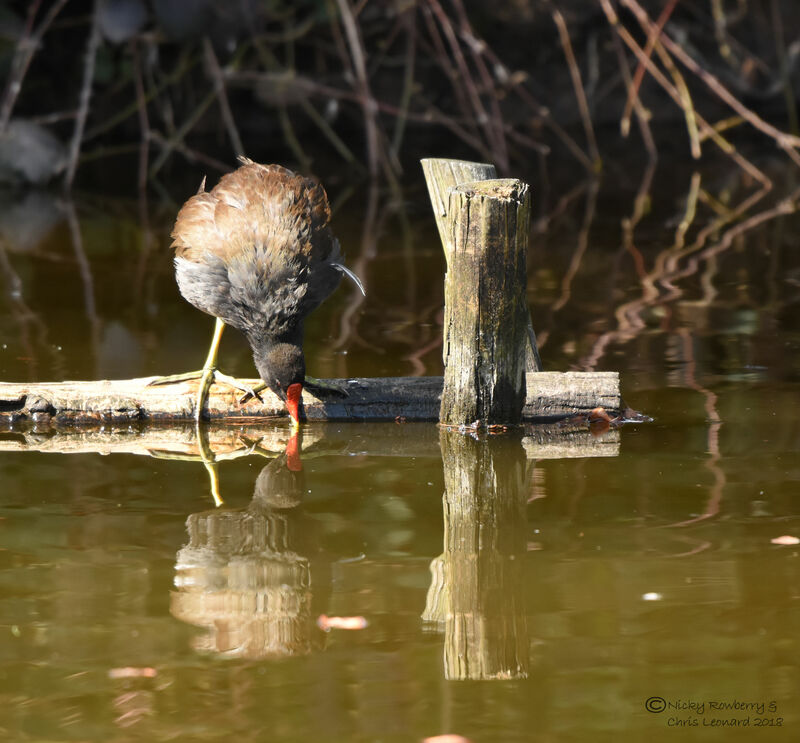 The only way to photograph it was to take the camera off the tripod – adding my shakiness to the equation. So that’s today’s excuses dealt with!